One of the many things we love about our current lifestyle is the flexibility it provides us. But it can also be a bit challenging to make future plans because we have so many options. 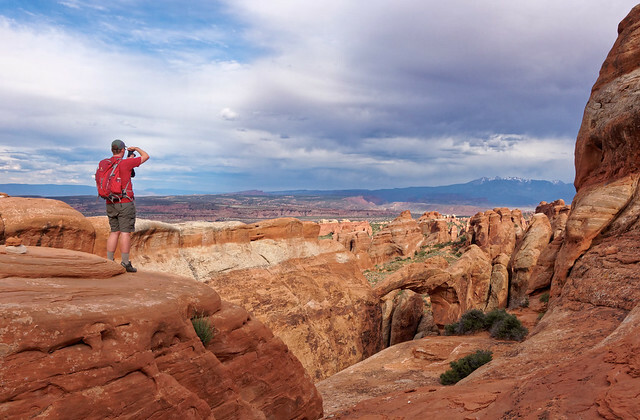 After spending the spring in Arizona we sat down to decide where to go next. 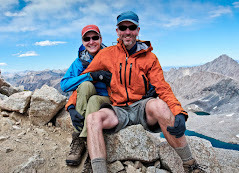 We have wanted to do more backpacking in the Sierras. We have also wanted to do more in Washington State. Oregon is another state we would like to spend more time in. Unfortunately, fires were an early issue in all three states so we looked elsewhere and Colorado jumped out at us. So we headed there with a plan to stay into September before returning to Grand Canyon in October. However, in August we decided to head to Washington State to help with a family issue. While we were there we had opportunities to do some backpacking (more about that next time). Last spring had you asked us what we would do over the summer and into fall I couldn't have told you but we are delighted with how things turned out. And if you ask us what we plan to do next summer and fall all I can say is "I don't know because we have so many options". 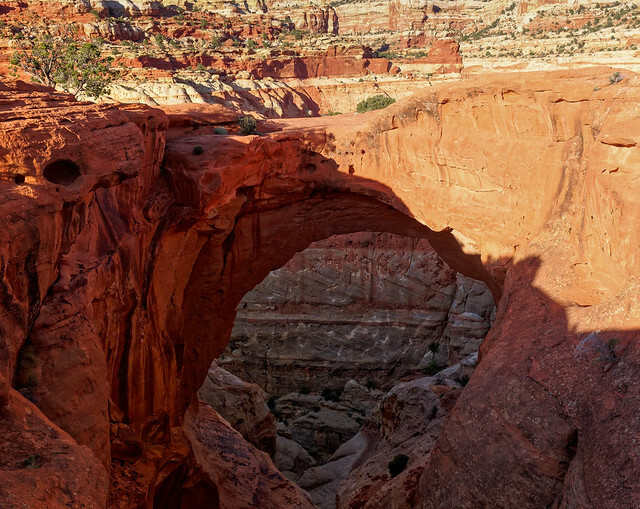 ... including a hike to Cassidy Arch. 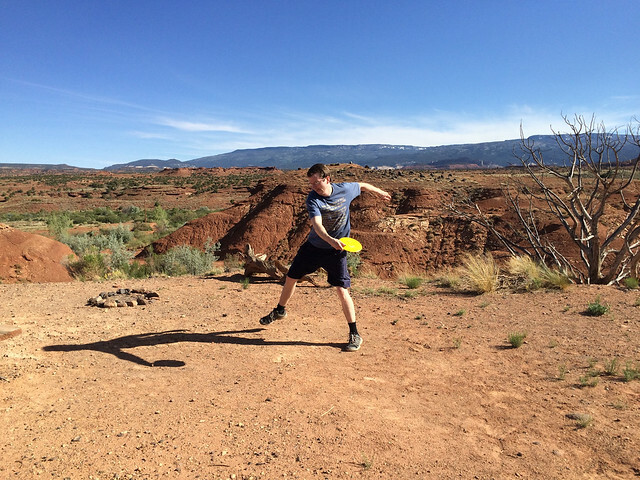 During this visit Tom got to indulge in his current passion, Disc Golf. Surprisingly there is a course in Torrey, Utah not far from the park. Needless to say the terrain is quite different from the courses he is accustomed to in Seattle. In addition Dan had opportunities to do some photography. He does not have the same passion for it that John does but he took advantage of our scenic locations, so different from what he sees in Pittsburgh. 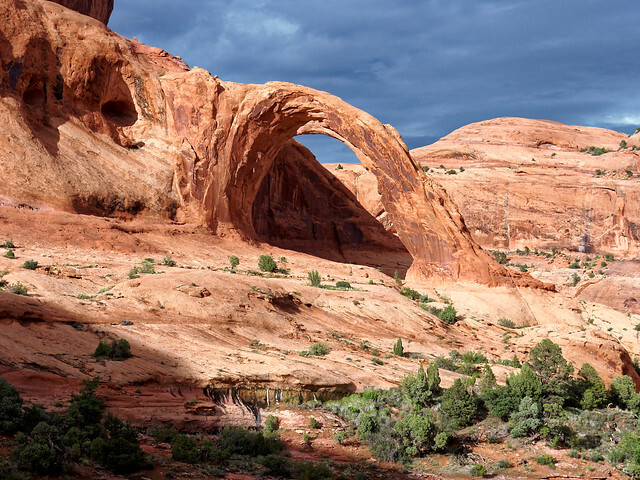 ... and one of our favorite arches is Navajo Arch. We have watched the trees adjacent to it slowly grow but this was the first time any of us has seen water under it. ... and Klondike Bluffs which is. 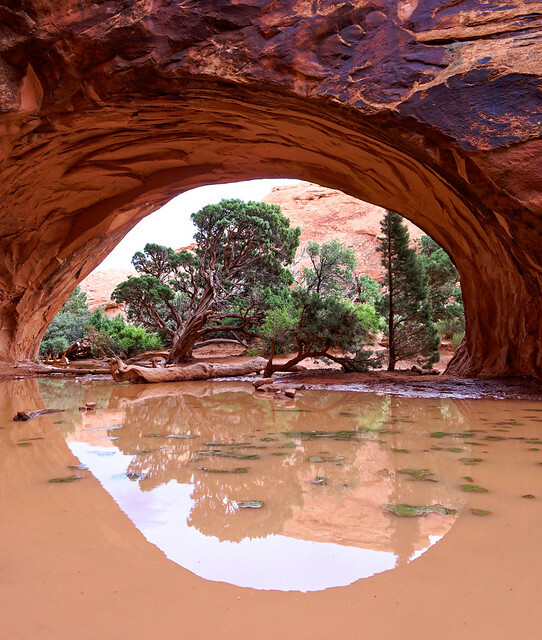 While on a hike they were caught in a rain squall but fortunately were able to take refuge under Tower Arch. After the rain stopped they were treated to a "light show". 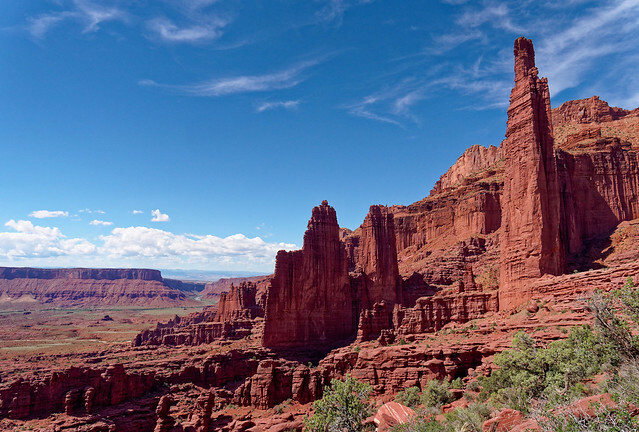 We also made a quick stop to hike through Fisher Towers in Utah. 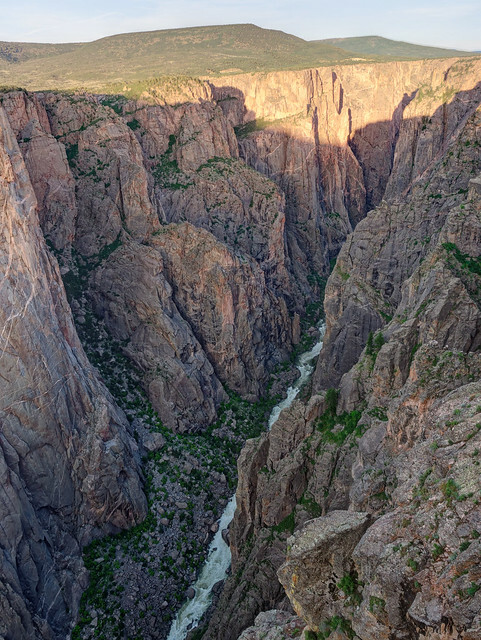 After Dan went home John and I visited an area we have wanted to see for a while, the Black Canyon of the Gunnison National Park in Colorado. 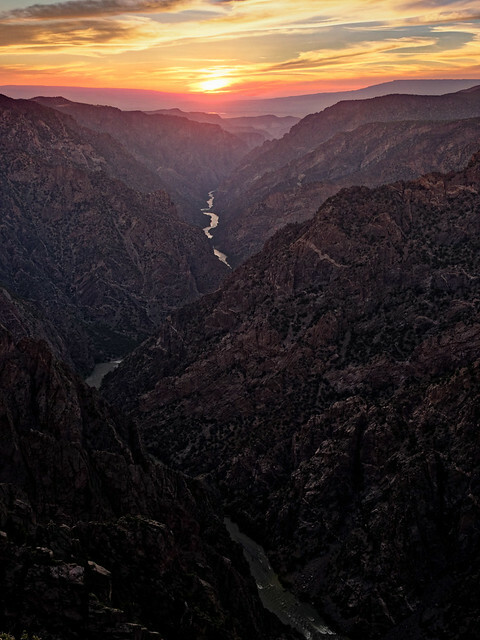 I presume it got its name due to the fact it is such a deep and narrow canyon and the sun rarely hits the bottom. We wanted to do a dayhike into the canyon, partly to see more of it but we were also feeling the need for a good conditioning hike. 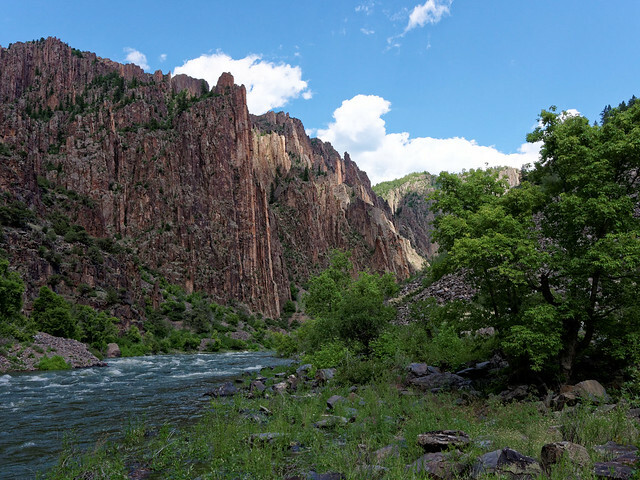 We decided to do the Gunnison Route which is said to be the “easiest” way down to the river. However, "easy" is a relative term. 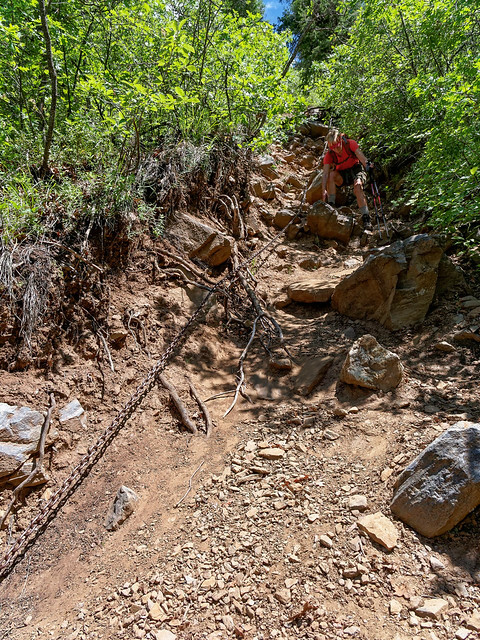 This route descends 1,800 feet in 0.9 miles and includes a much appreciated 80 foot long chain that hikers can hang on to as they negotiate the steep loose rock. We eventually arrived at the river and heeded the warnings to avoid Poison Ivy. 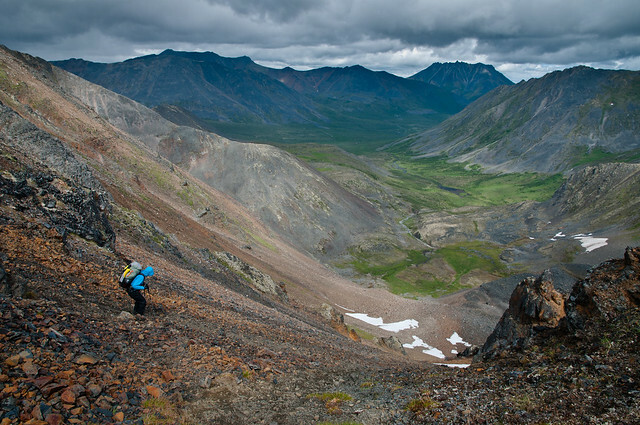 Before long we headed up scrambling up the crumbly gullies. We got off route in a rocky ravine at one point and had to bushwhack our way back to the official route. It was probably worth doing but I don't feel a need to explore the more challenging routes in the park. While in the park we had an adventure of a different sort. Just as we were getting our motorhome positioned in a campsite in the park water started pouring out from under the engine and steam billowed out from under the hood. Obviously there was something very wrong with the radiator and John made arrangements to have our motorhome towed into the nearest town. We were quite apprehensive about this as it has never been towed before and it almost literally contains everything we own (the one exception being our Jeep). But we needn't have worried. We spent two days in a motel and were overwhelmed with the amount of space in the large room, so different from our cozy home. We are so grateful this happened where it did rather than in an inconvenient spot or a more remote area. 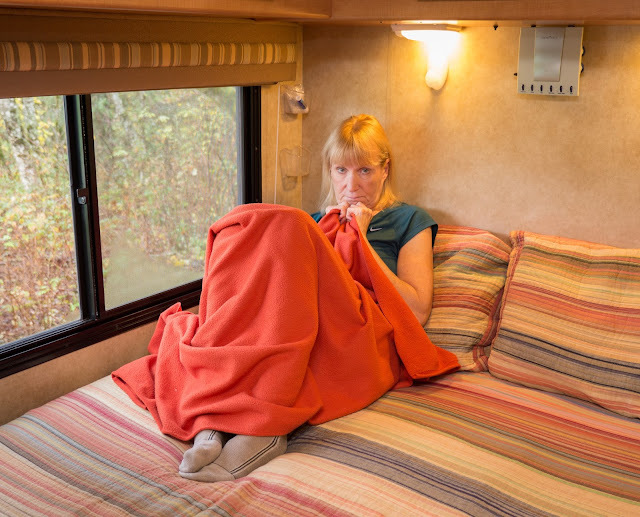 It was as though our motorhome did its best to hold on long enough for us to get comfortably situated. As it happened over the next several days we were able to do everything we wanted to do in the park before our appointment with the Ford dealership. We then had a decision to make, where to go next. Backpacking is our passion and we want to do more in the Sierras and Washington State but fires were already an issue due to drier than normal winters in both states. 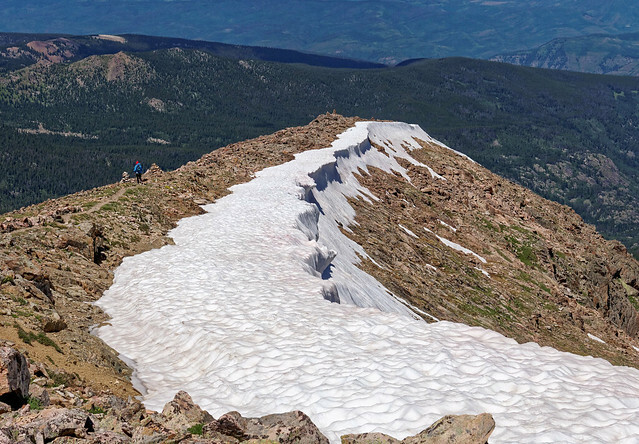 On the other hand Colorado had experienced a wet spring and there was still quite a bit of snow in the mountains, too much snow where we would want to backpack. 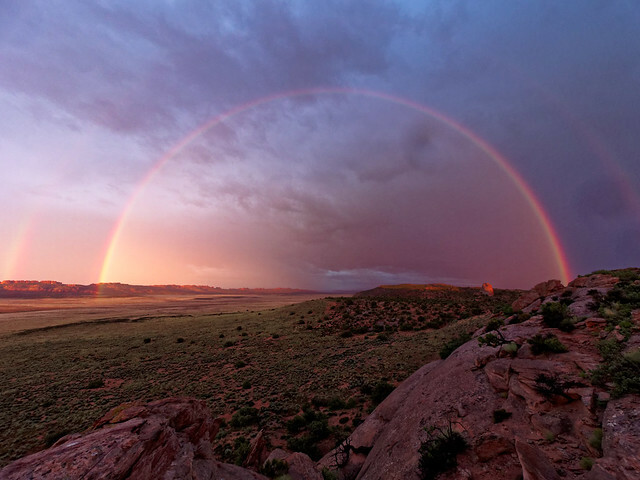 Colorado is reported to have 300 days of sunshine per year. However, that includes days where it is sunny in the morning but thunderstorms in the afternoon. This summer was apparently shaping up to be wetter than normal and it became apparent that our best option was to go dayhiking in the morning and be inside in the afternoon. 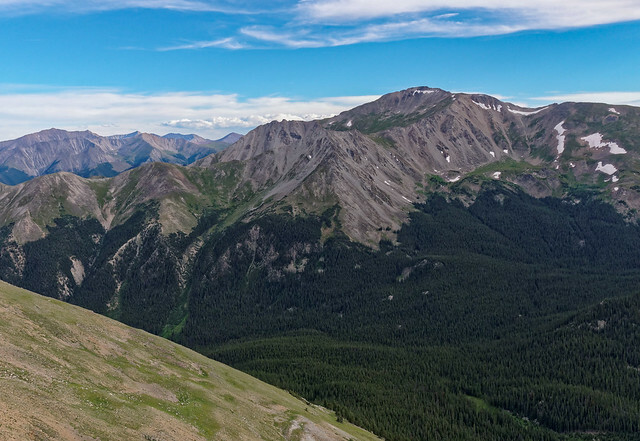 So we decided to try our hand at hiking up some of Colorado's famous "14ers", 58 peaks over 14,000 feet. 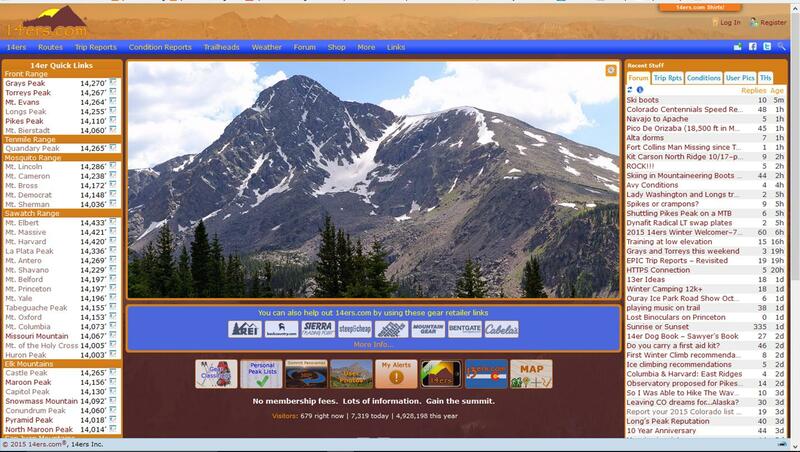 By far the best source of information about the highest peaks in Colorado is "14ers.com". This excellent site provides a wealth of information including route descriptions and recent trip reports. 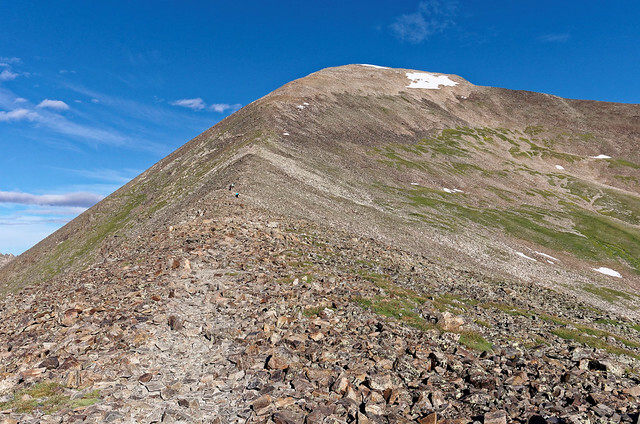 It also contains extensive photos illustrating the route (or routes) such as this image of the route up to the summit of Mt Antero. While the route in the photo below is straightforward some are quite convoluted and the photos can be invaluable. 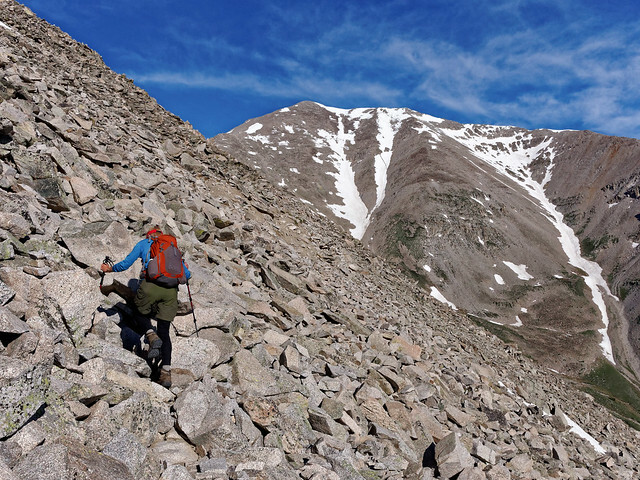 John perused recent trip reports to find peaks where routes were not too impacted by snow and positioned us within easy driving distances to several peaks in the Sawatch Range. 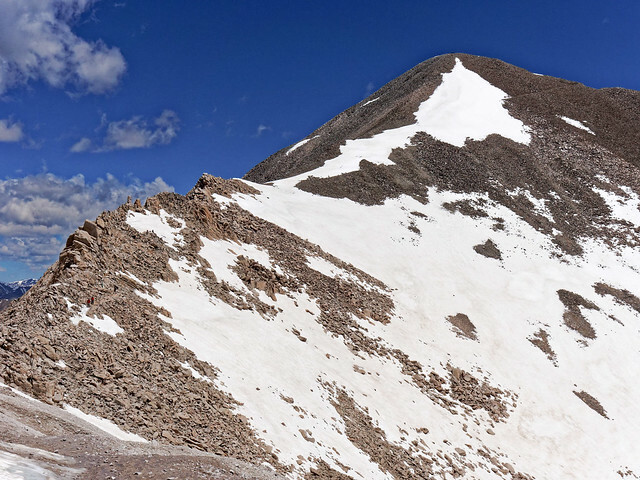 The first peak we hiked up was Mt Antero (14,269 feet). I resist saying we "climbed" it as there was nothing technical involved. 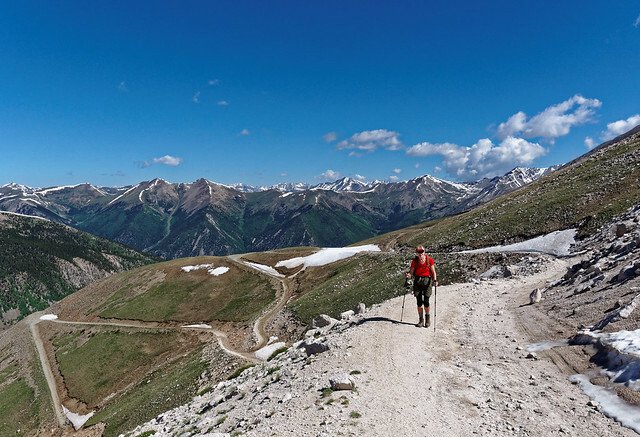 Access to trailheads of many "14ers" involves driving on bad roads requiring high clearance and often 4-wheel drive. This is one of the reasons we bought our Jeep and we were not disappointed by its performance. Access to this trailhead required us to ford a creek that was about a foot and a half deep. We parked not long after although we could probably have driven up higher. It all depends on how much damage to your vehicle you are willing to risk. 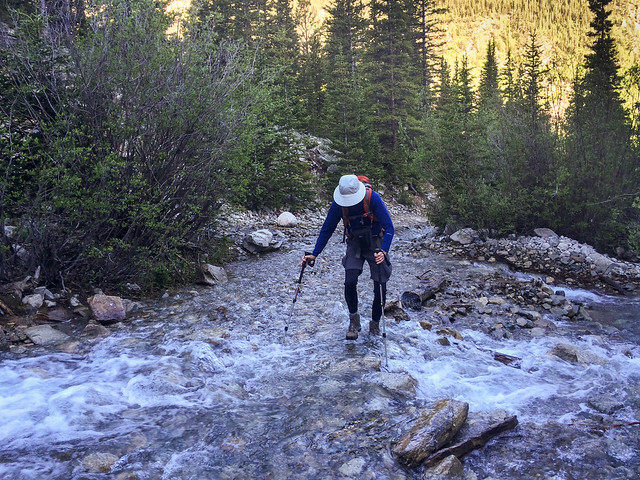 We headed out on foot and encountered more creek crossings which fortunately were not as deep. As this was our first hike at altitude we knew we could have trouble as we were not acclimated yet and neither of us was in "peak" condition. Fortunately the weather forecast was favorable and the all too common afternoon thunderstorm was not predicted until 5 PM so we would have time to complete it even at our slow pace. There are many old mining roads in this area and the trail follows a road most of way up. Apparently ATVs can drive up to 13,000 feet but that seems like cheating to us. 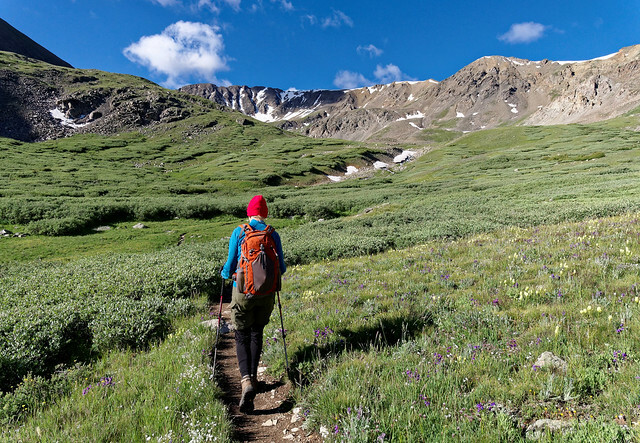 We tend to feel guilty if we gain less than 3,000 feet and hike less than eight miles on a dayhike. 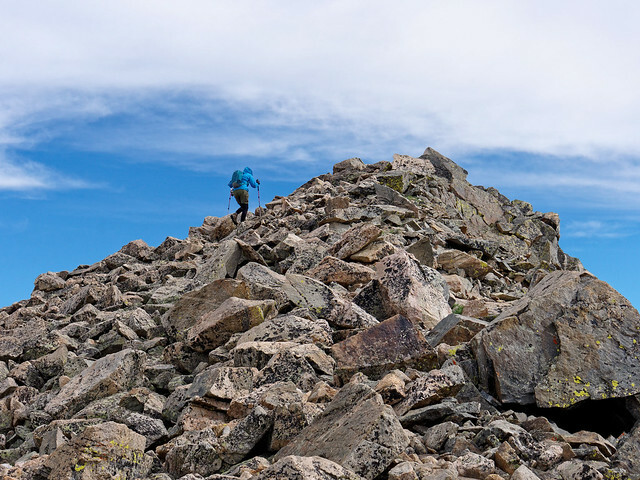 As we ascended we left the road behind and headed up the ridge where we crossed some small snow fields as well as some talus on our way to the summit. As we headed down we saw dark clouds forming in the distance so we began to hurry. After it started to sprinkle we decided to put on our parkas and new (and untested) rain kilts. I know we looked ridiculous. Indeed, we gave an ATV driver a good laugh as he passed us. However, actual rain did not materialize so we took off our rain gear. The weather remained dry until we got back to our motorhome at the campground. A monster of a hail storm passed through later in the day. 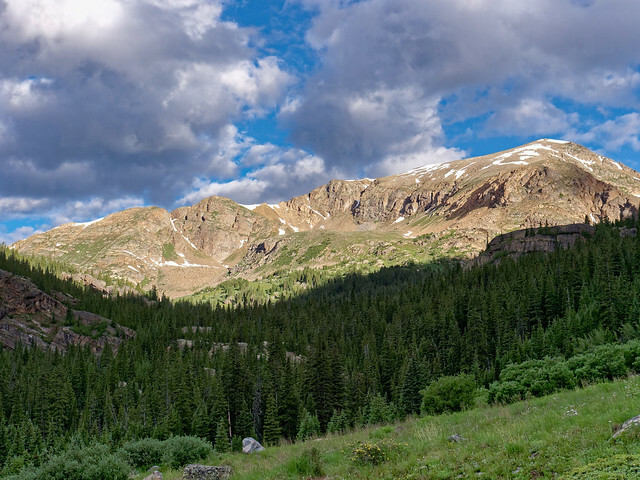 The following day we heard that several people had been caught in multiple lightening strikes on Mt Bierstadt, another "14er". It was disconcerting because they apparently had no warning and the dark clouds formed directly above them. They were 500 feet below the summit when lightning hit and eight people were injured and a dog was killed. It gave us pause for thought as we had assumed all one has to do to be safe from lightning was to be lower than the summit but apparently that is not true. ... and two snow covered slopes. Once at the summit we thoroughly enjoyed the expansive view. After two days rest we were ready for another. This time we hiked up Mt Yale (14,196 feet). We wanted to try for an earlier start so we got up at 4 AM and were on the trail at 5:45 AM. We knew we would need the time as we would start at 9,900 feet and needed to gain nearly 4,300 feet. 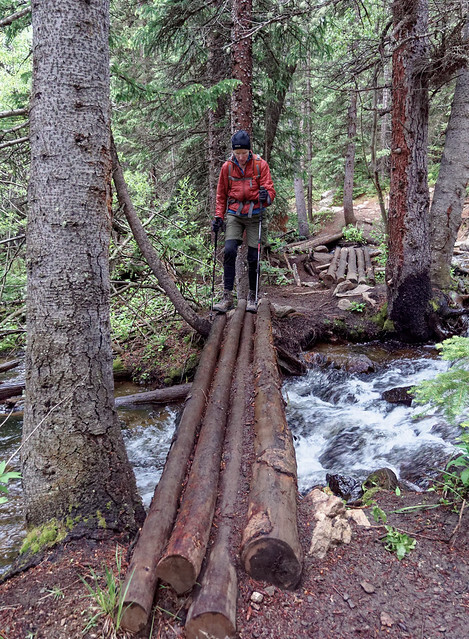 It was common for trails to "14ers" to start out in the woods and we really appreciated bridges and logs across the creeks. The trail to this peak reminded us so much of being in the North Cascades especially when it started to drizzle. Once again we put on our rain kilts and once again real rain did not materialize so we were able to take them off. We noticed that no one else seemed concerned about the rain. 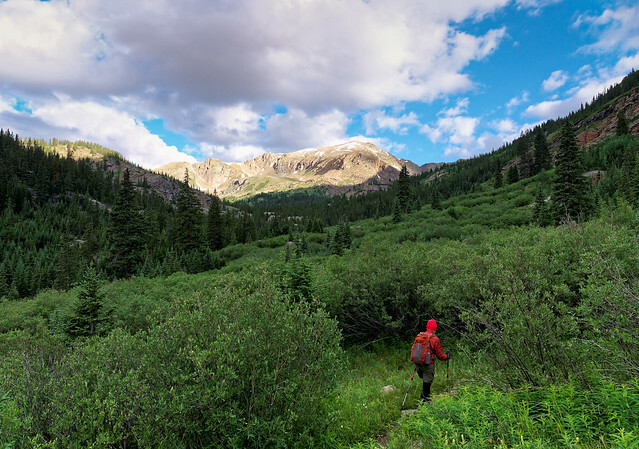 We have a Pacific Northwesterner's aversion to getting wet but people in Colorado seem to accept they will get a little wet, trusting that the rain will let up and the sun will come out again. As we ascended the clouds cleared. The terrain eventually opened up and we got a view of our destination. 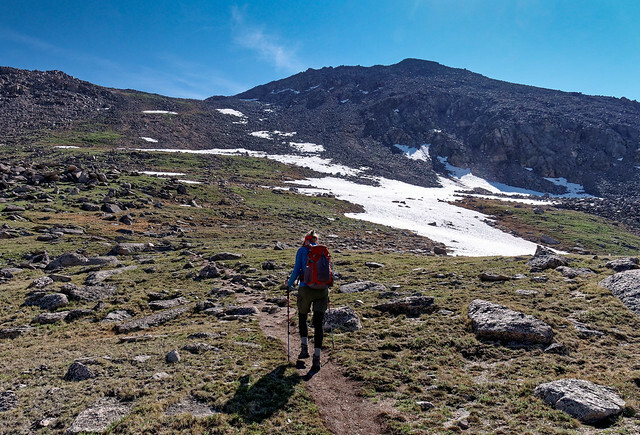 There is a good trail most of the way up before encountering the very common talus that one must carefully pick their way through. Once at the summit we were treated to another expansive view. As we descended back through the woods the rain started in earnest and we made good use of our kilts. 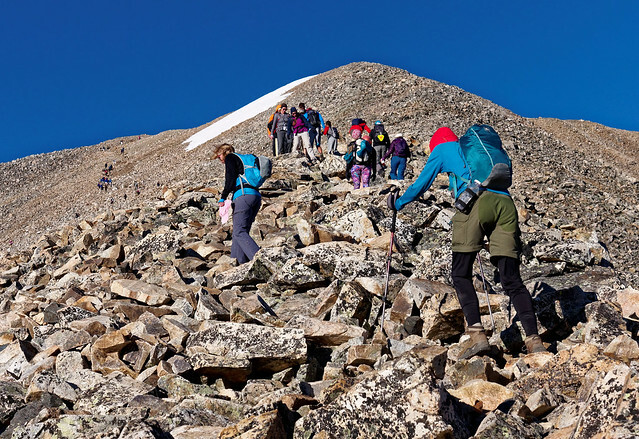 Two weeks after we did this peak we were saddened to hear that a woman had been killed and three other hikers injured on Mt Yale. What was surprising was the fact they were down to 12,000 feet, just above treeline, when it happened. Once again we were taken aback by the fact that just being off the summit does not render one safe from lightning. John read a statement by a meteorologist who said if you are outside then you aren't safe from lightning. The next peak we did was Huron Peak (14,003 feet) and once again we got up at the painful hour of 4 AM. This hike would be seven miles round trip and we would gain 3500 feet. The trail starts in woods and ascends through meadows (as pretty much every other trail does). ... and includes a great view of the "Three Apostles" and Ice Mountain. Once again we saw dark clouds forming in the distance so we quickly headed down from the summit. Fortunately we did not hear thunder until we were well below treeline. I know we were not completely safe from lightning but it was comforting to have so many tree tops high above us. I wasn't thinking about the fact that lightning can travel down a tree and fry things in contact with the ground. We had three days off before doing our next hike due to poor weather. 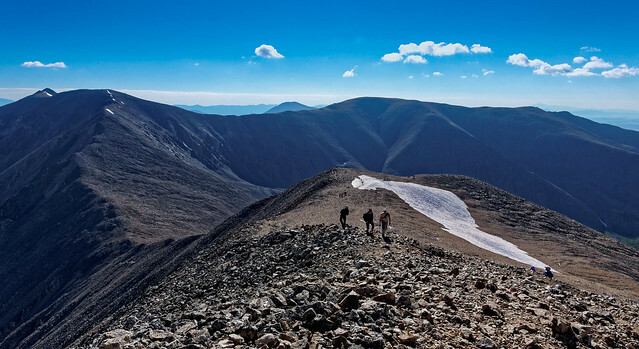 This time we hiked up Mt Sherman (14,036 feet) in the Mosquito Range. 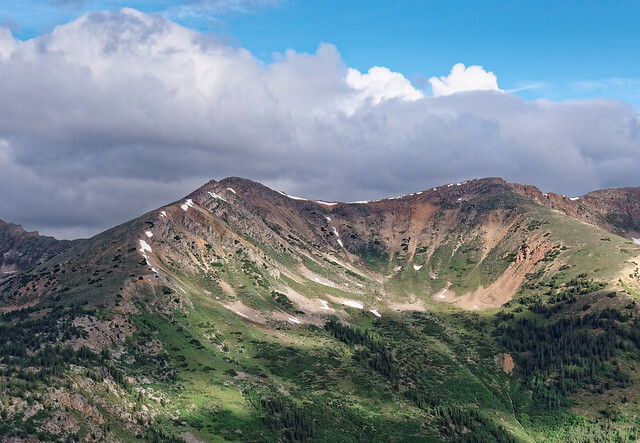 This peak seemed like a cheat because we drove to 12,000 feet and the trail is only 4.6 miles round trip but the weather forecast was questionable so we wanted to do a "quick" one. However, this was not a quick or easy hike. In the early morning we had to cross icy talus and boulders before the trail opened up and we gained the increasingly windy ridge. The forecast had predicted "breezy" conditions but the wind gusts almost knocked me over. In a weak moment I seriously considered turning around and I started yelling to John ahead of me to tell him I was but the wind was so loud he couldn't hear me. Then I saw a family with small children heading up and decided if they could do it then I could too. 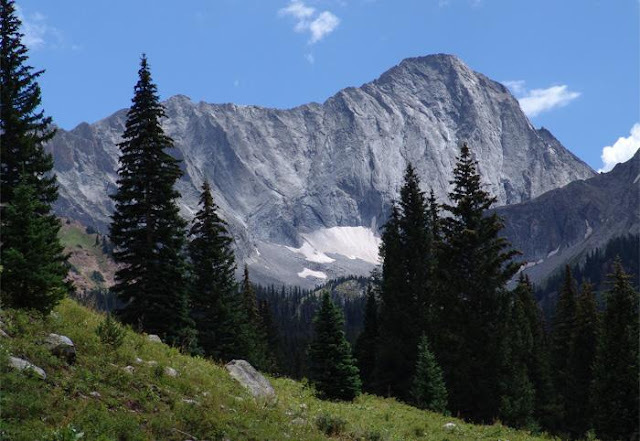 We have been amazed at how many people do these high peaks with their small children. I guess kids in Colorado are either born tough or they are forced to become that way. We stopped on the summit only long enough for a quick selfie and this view. Mountains in the Mosquito Range are more weathered and rounded than other peaks we have seen. 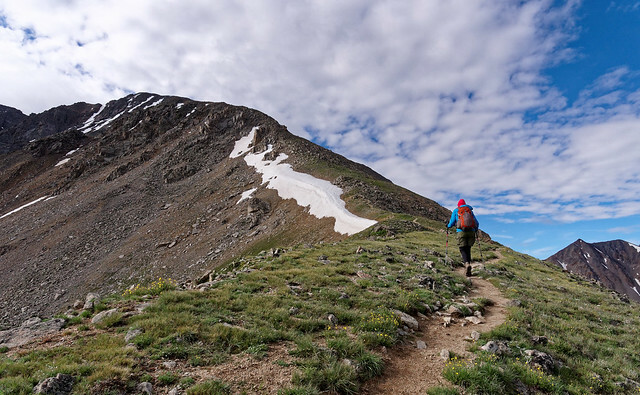 Our preference was to take two days off between peaks but we had to take the weather into consideration so we did Mt Elbert (14,433 feet), in the Sawatch Range, after only one day rest. We also did it on a Sunday. So far we had been able to avoid hiking on weekends in order to miss the inevitable crowds but we wanted to take advantage of the good weather window. 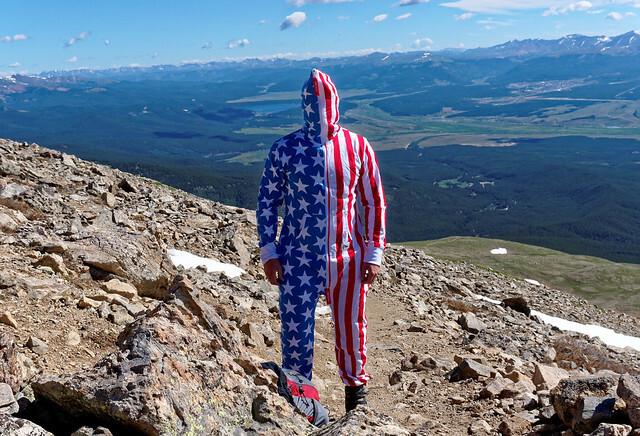 Mt Elbert is the highest peak in the state and we have wanted to do it in honor of John’s father. He would have been 119 this year. 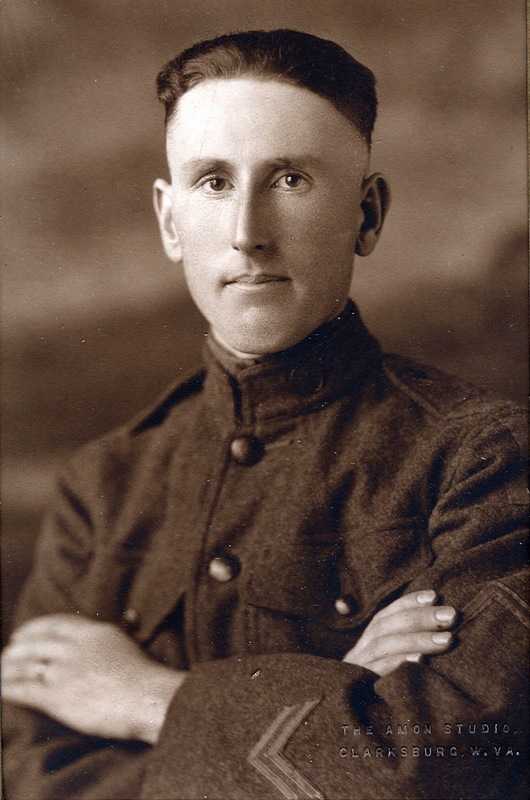 This quiet hardworking man fought in World War I. We would gain about 4,100 feet over 8.5 miles round trip. The forecast was good although it mentioned it could be “breezy” and I hoped that would not translate in to the gusty winds we encountered on Mt Sherman. Unfortunately it did. We bundled up in our parkas and were amused by what one hiker wore for wind protection. There were about 40 people on the summit when we were there. That and the wind did not encourage us to hang out there for long. As we descended we again went through a lovely Aspen forest, something we enjoyed seeing this time as it had still been pretty dark when we hiked through it earlier that day. I was grateful for being able to take two days off before our next hike (mostly as a break from getting up at 4 AM). 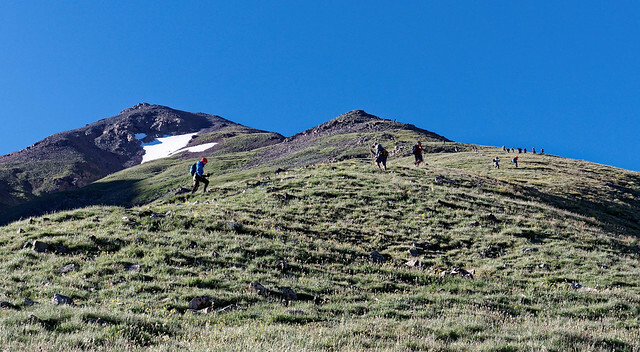 La Plata Peak (14,336 feet) was the next "14er" on our agenda. We would gain 4,500 feet and cover 9.25 miles. This is a challenging trail for someone with bad knees as it has lots of step ups, some stairs and steep switch backs. On our way up we encountered two young women coming down. They had passed us not much earlier so we were surprised they had been able to reach the summit and descend in such a short period of time. 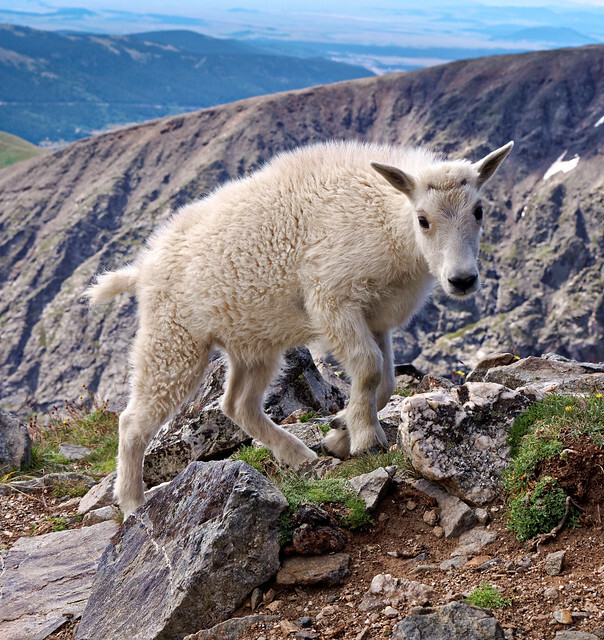 But they told us they had turned around early after encountering an aggressive mountain goat. We continued to hike up the trail but kept alert. Before long we encountered a fellow who had also turned around. We thought there could be safety in numbers so he continued up with us. 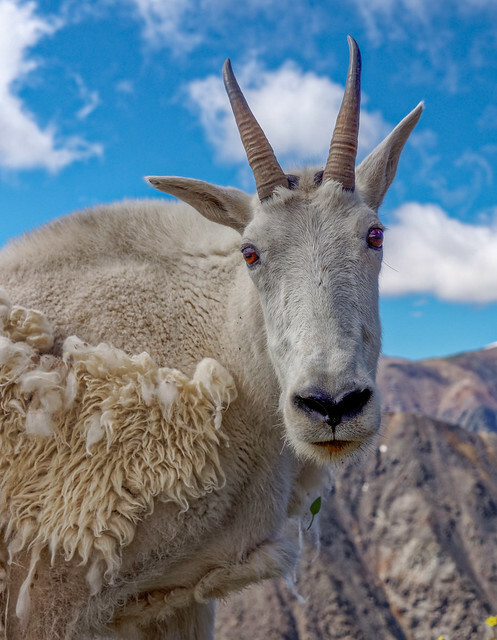 Fortunately, we never saw this goat. As is common with many of these peaks after the trail goes through woods and crosses meadows it finishes with talus, lots of talus. We had yet another expansive view under increasing clouds. We headed back down and the trail did not disappoint in giving my knees quite a workout. Due to the weather forecast we did our next hike after only one day's rest. From a distance one can get an idea of how Mt Massive (14,421 feet) got its name. ... and it was daunting to see our destination so far away and so high up. But we have learned from experience that by putting one foot in front of the other and given enough time one can travel great distances. By this time we both felt better on these hikes as we had been acclimatizing for over two weeks. That is not to say it wasn't still challenging. Once on the ridge we were faced with the sight of many false summits ahead. Even though the views from the summit of these peaks tend to look alike we still enjoyed them as the reward for our hard work. We had four (glorious) days rest before hiking up Missouri Mountain (14,067 feet). 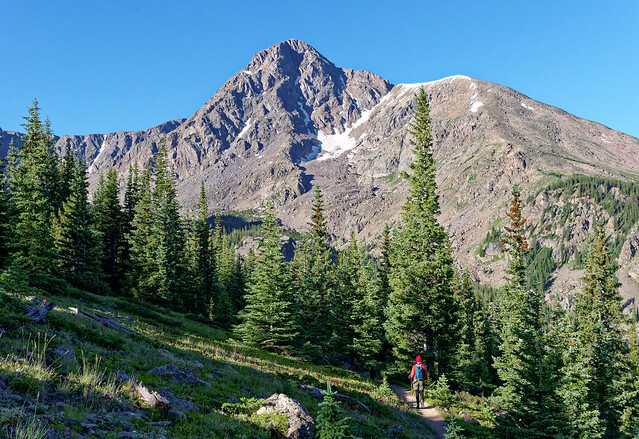 The trail to this peak shares the trail to Mt Belford and the nearby Mt Oxford so we considered backpacking in and doing these peaks on back to back days saving us some elevation gain. However we decided we'd be more comfortable doing them as dayhikes with some rest days in between. For Missouri Mt we gained 4,500 feet and hiked 10.5 miles. Missouri Mt also has some false summits that need to be negotiated. The trail is pretty straight forward with one tricky spot involving some ice and exposure closer to the summit. 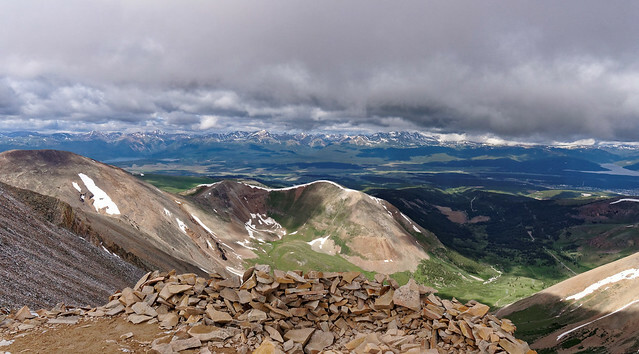 The view from the summit includes seeing Mt Belford (14,197 feet) and Mt Oxford (14,153 feet) which we would do on our next hike. It took us 11 hours to do this hike primarily because John stopped to talk to other hikers on multiple occasions. Three days later found us back at the same trailhead. 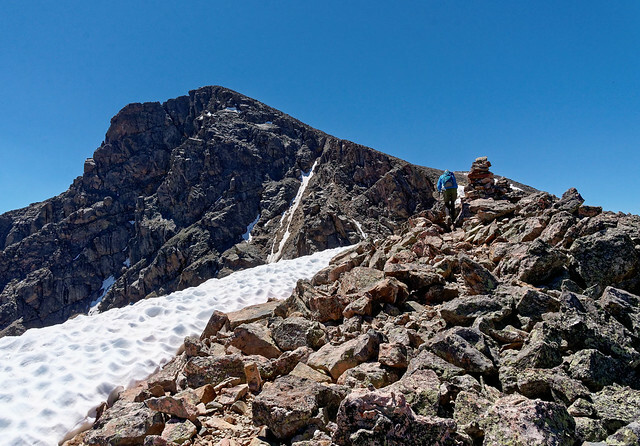 Only this time we would take the trail to Mt Belford (14,197 feet). 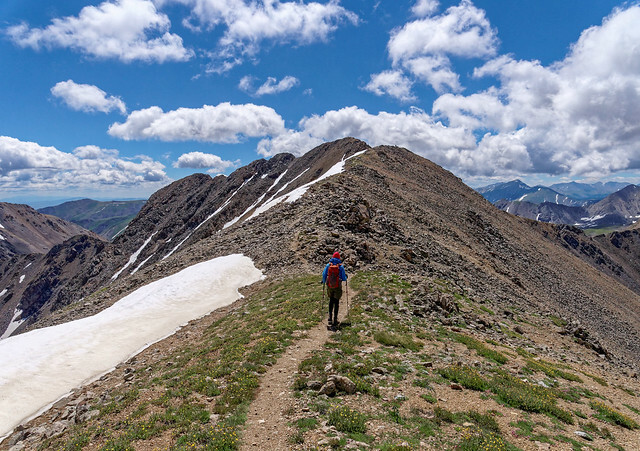 This involves 4,500 feet gain and a total of eight miles but by continuing along the ridge one can also reach the summit of Mt Oxford (14,153 feet). However this adds 1,300 feet of gain and three miles to the trip for a total of 5,800 feet and 11 miles. Once again the weather encouraged us to do these peaks on a weekend day so we knew it would be crowded (As we would undoubtedly need lots of time John was forbidden to stop and talk to anyone). But our first concern was finding a parking place. Even though we were there at 5:40 AM the parking lot was full and cars were lined up for quite some distance along the narrow gravel road. 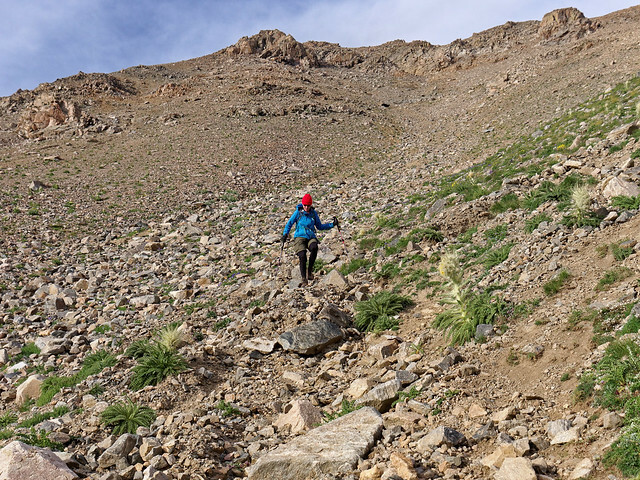 The trail felt relatively easy until we reached the cut off for Mt Belford and started up the steep (crowded and countless) short switchbacks and step ups. One bit of excitement occurred when we stopped for a break part way up and John set his camera down on what seemed like a level enough spot. However, it started to roll and bounce down the slope we had just worked so hard to get up. Fortunately, it didn't get too far down and thankfully it wasn't badly damaged. Once at the crowded summit we saw an unusual sight. We were accustomed to people bringing their dogs and/or children with them but this was the first time we have ever seen anyone bring a cat on a "14er" (or any hike for that matter). A couple was in the process of trying (unsuccessfully) to get their cat to look at the phone so they could take a group selfie. Apparently this cat has its own Facebook page and is taken to many unusual locations. Fortunately for the cat the fellow had carried it up in a carrier as it looked most unhappy to now be on a leash. We stopped on the summit long enough for a quick photo before heading down the steep loose trail that would take us toward Mt Oxford. We lost about 650 feet before reaching the saddle between the two peaks. As we crossed the saddle we could look back at Mt Belford and were pleasantly surprised to see how few other hikers were also continuing on (apparently the cat had put its "paws down" and refused to continue to Mt Oxford as its people had intended). 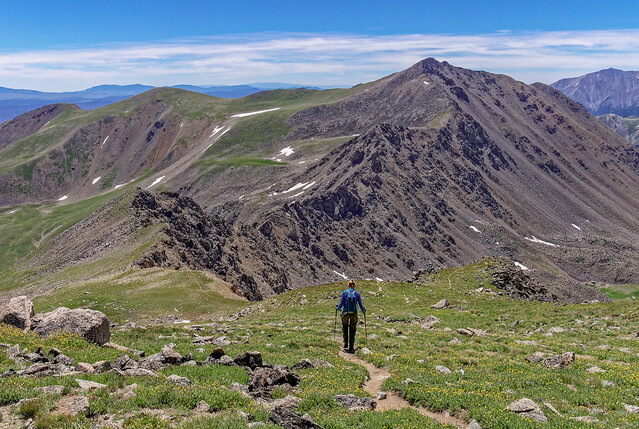 Mt Oxford (14,153 feet) is 1.5 miles away which sounds close but at that altitude an additional 3 miles and 1,300 feet of gain is not inconsequential. As we had many miles to go and clouds were beginning to move in we didn't linger on Mt Oxford. 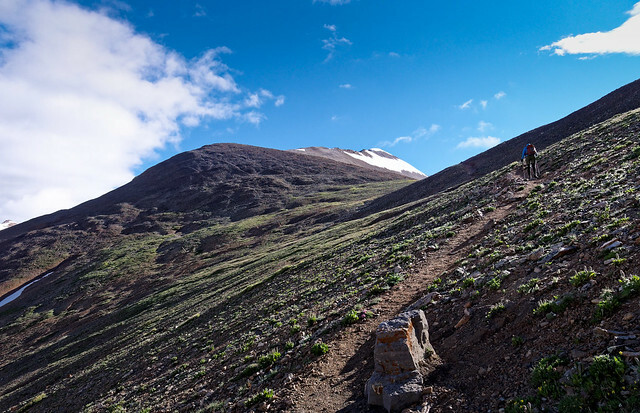 We had planned to take the shortest way back which was going back over Mt Belford and down the excruciatingly steep trail off of it. However, we had another option. 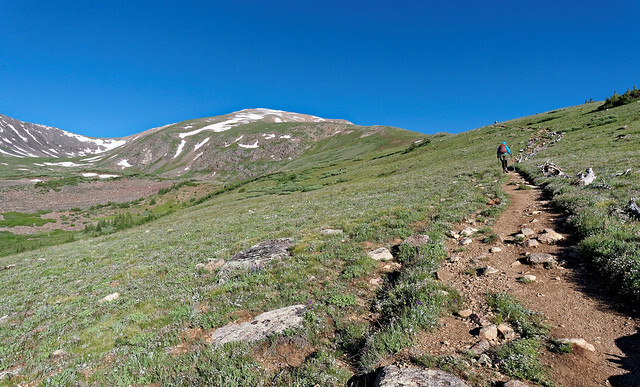 We could take the more gradual but longer trail down to Elkhead Pass. We figured it would only add about a mile to our hike so it seemed worth it. And it was. Not only was it more "knee friendly" we got a great view of Missouri Mt and the curving pass below it. An added bonus was we encountered very few people. This included a couple who had done both Mt Belford and Mt Oxford and were now on their way to do Missouri Mt. 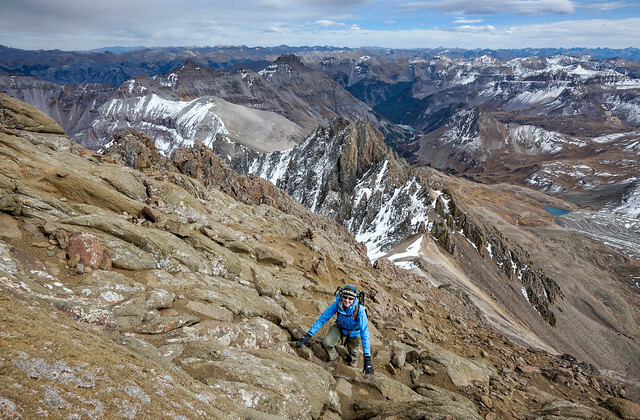 This impressed us until we encountered a trail runner who had not only done these three peaks but Mt Huron as well that day. Needless to say we were humbled by his accomplishment especially after it took us 13 hours to do just two peaks. Three days later found us on the trail to Mt of the Holy Cross (14,005 feet). We would gain 5,600 feet and cover 12 miles. The reason one gains so much elevation is that the trail goes down through some woods and across a creek, losing 1000 feet. We got some great views on the way and knew enough to not get discouraged by the sight of how far we needed to go. 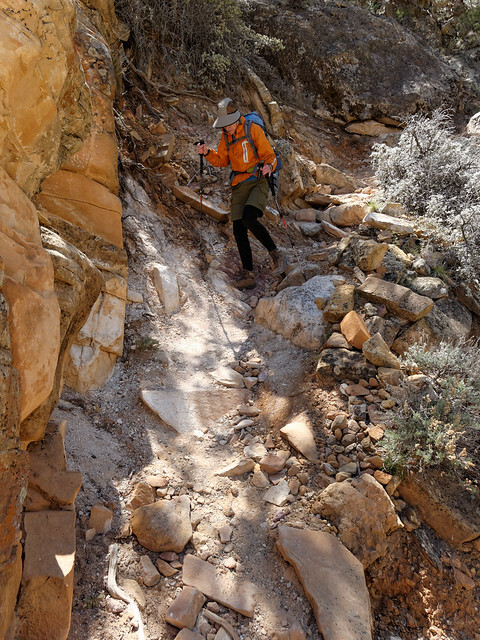 There is a good trail until about the last 300 feet where one must painstakingly pick their way through large rocks and boulders. 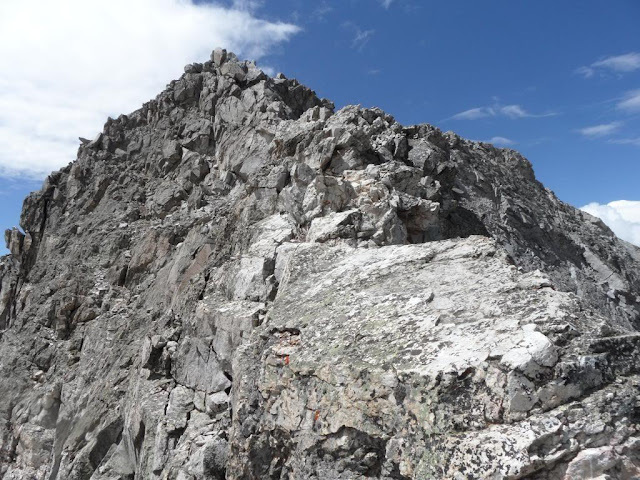 We thoroughly enjoyed the more jagged nature of this peak and it became our favorite "14er". Again we were rewarded by great views from the summit. 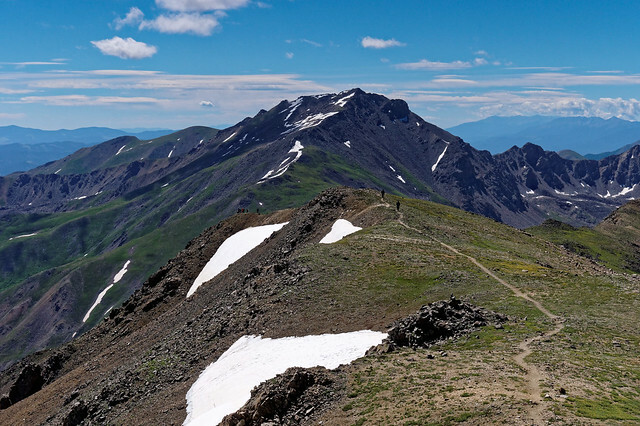 The more "14ers" we did the more we saw "14ers" we had already done in the distance. John has an App on his phone called "Peak Finder" so he would point out the peaks around us. Unfortunately I didn't take notes and can't get it to name the peaks in the photos so they are unidentified in most of his photos. 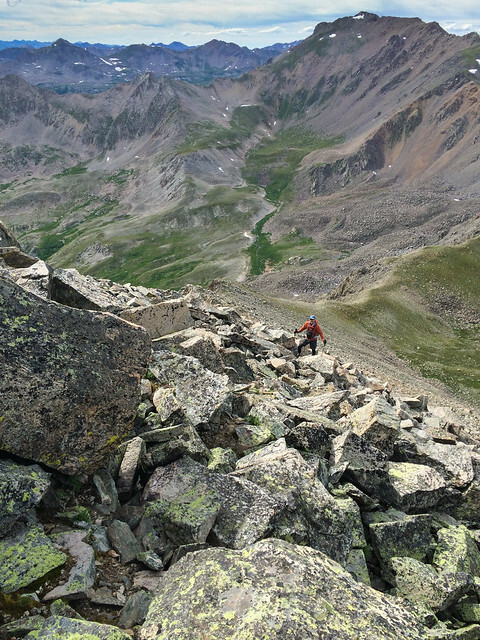 This was the 12th "14er" we had done which was about how many we had previously thought we would do this year. 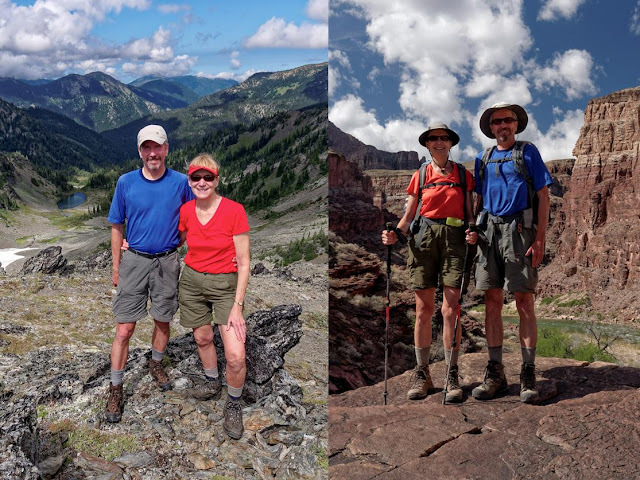 But it was only the end of July and we were still disinclined to go backpacking in the wetter that normal weather so we decided to keep working our way down the list of 14,000 foot peaks. 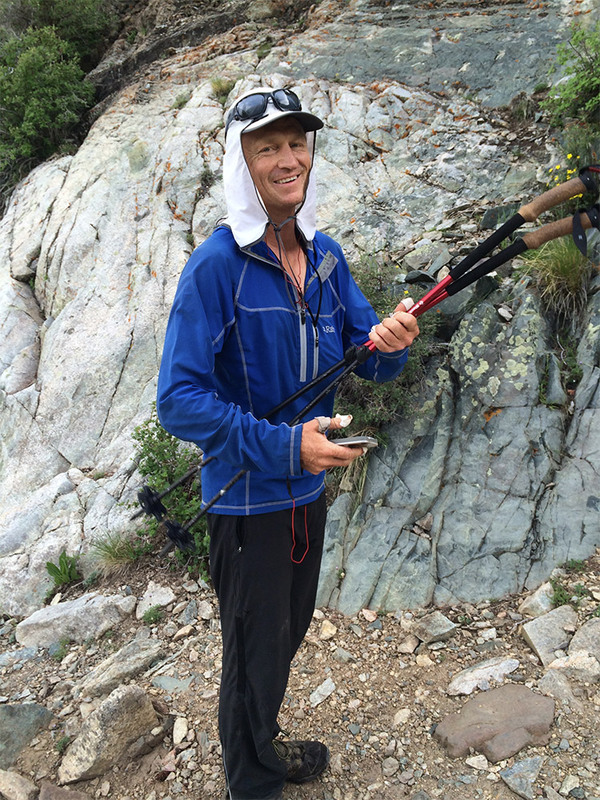 That made Tabeguache Peak (14,155 feet ) our 13th (I am not particularly superstitious but that may change). The route we took to this peak, the West Ridge Route, is a less commonly used one and the Forest Service does not encourage its use so it is not maintained. However, recent trip reports indicated it was usable and the trailhead was closer to where we were staying at that point in time. Initially the trail (what is left of it) goes through some woods with downed trees but it eventually opens out into meadow. 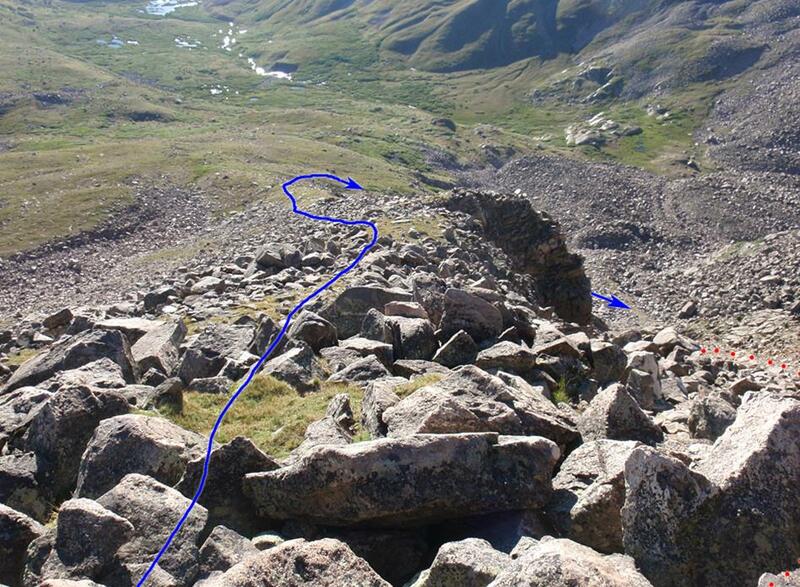 The route skirts some willow, goes over some scree before ascending on steep loose rock. It was very slow going all the way to the summit. 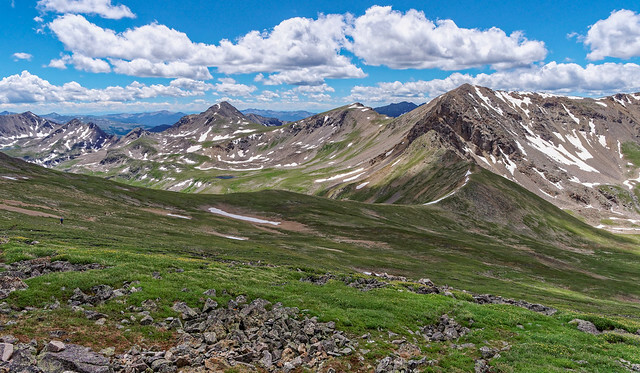 By continuing across Tabeguache you can get to Mt Shavano (14,229 feet). It involves losing 500 feet and hiking for a mile. Our plan was to go over to Mt Shavano, back over Tabeguache and down the way we came up. As always one must keep a close eye on the sky and decide if there is enough time to do a second peak. We decided there was so we headed to Mt Shavano. 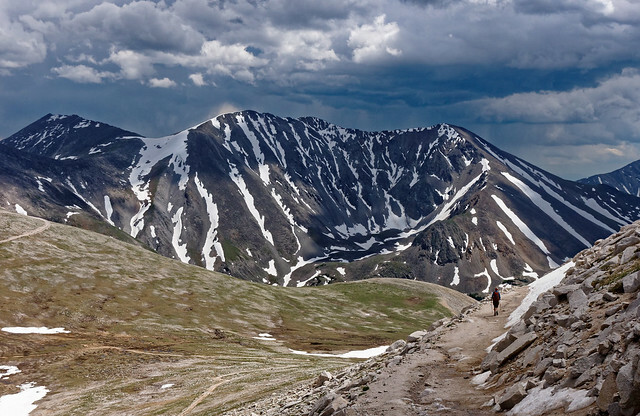 We were more than halfway across the saddle between the two peaks when dark clouds began to quickly move in. We decided it would be fastest to hike over Shavano and down the other side rather than back track. Our reasoning was that we would then be descending on the more commonly used route and we assumed it would be faster than the one we had come up. 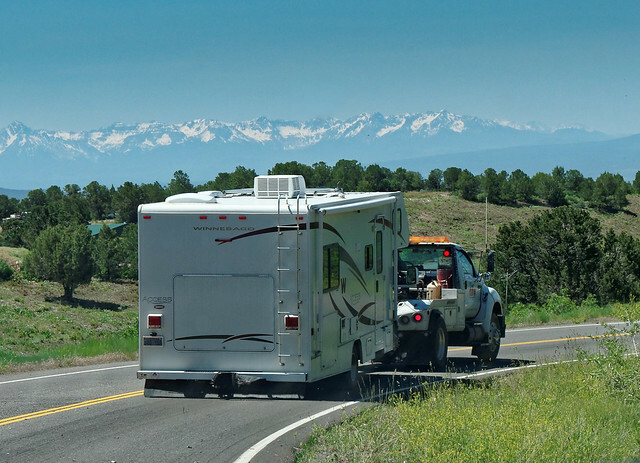 It would cause us to come out about four miles from where our Jeep was parked but we could easily walk to the campground where our motorhome was parked. Worst case was that John would have to walk 3.6 miles from the campground to retrieve our Jeep the following day. He might be able to hitch hike. We were part way up Mt Shavano when we were startled by booming thunder directly over our heads. We realized we had miscalculated on how much time we had and became quite anxious (There was swearing involved). To make matters worse it began to hail quite heavily making the rocks wet and slippery. We were concerned about finding the route down the other side of Shavano and decided the best way to find it was to go the rest of the way to the summit and pick it up there. We figured we would be in no more danger than we already were. It was quite "invigorating" to be continuing up while the storm boiled around us. Once over the summit we found the correct route and reached the saddle and a good trail. Even though we were well below the summit we didn't slow down. I thought about that woman who was killed on Mt Yale. Fortunately the thunder claps began to sound farther away and we never saw any lightning. We were tired and hungry but pressed on until we were below treeline before we decided it was safe enough to stop to take a break to eat something. I know that statistically more people are killed on highways than are killed by lightning but at the time that thought was not comforting. After our harrowing experience we waited for a more "rock solid" weather forecast for our next hike. 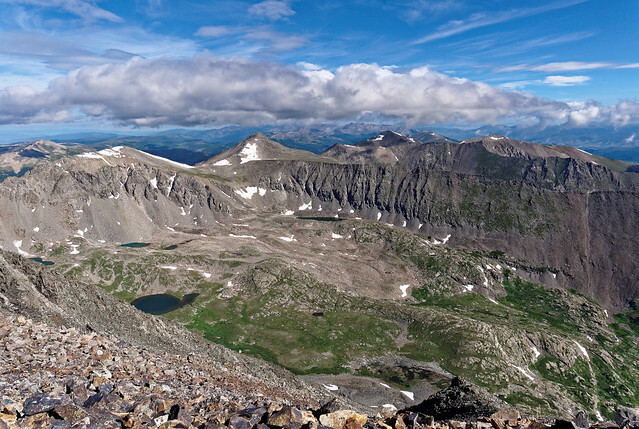 This would be another opportunity to do two peaks in one day, Mt Harvard (14,420 feet) and Mt Columbia (14,073 feet). We first considered doing it as a long dayhike but at 15 miles with 6,100 feet of elevation gain we thought better of it. 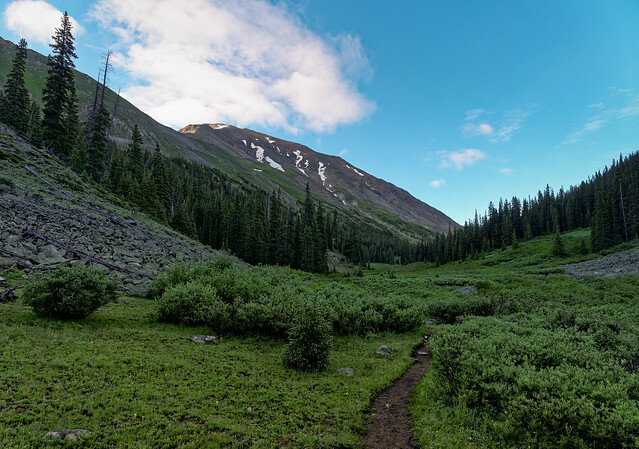 Therefore, we backpacked in four miles, gaining 1,900 feet, and camped just below treeline at 11,800 feet. Our plan was to do a seven mile loop the next day including both peaks gaining 4,100 feet before returning to camp. We had a good forecast, partly sunny with no thunderstorms, but it was expected to be “breezy” (which we had learned is "Colorado speak" for winds that might knock you down). It felt good to camp out overnight and John especially enjoyed having the opportunity to take advantage of the evening light. 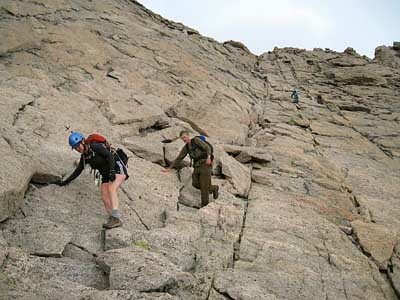 ... although there is some rock that must be negotiated prior to reaching the summit. It was only 2.5 miles to the summit and we gained only 2,600 feet so we arrived just before 10 AM, a record for us. Once on the summit we needed to make the decision about whether or not to continue over to Mt Columbia. The route description indicates we would “need at least a couple of hours”. As the weather looked really good we decided to go for it. 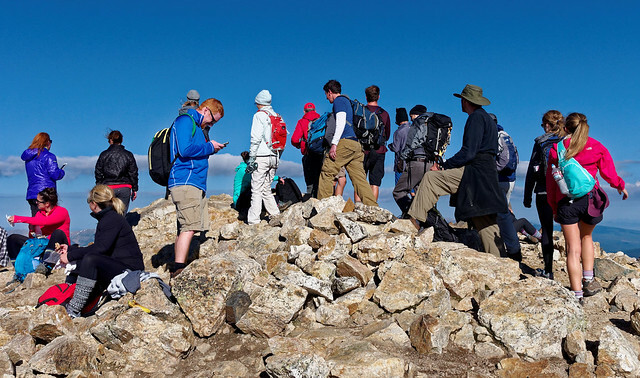 While on the summit we encountered a large group from “Rocky Mountain High”, and organization that teaches leadership skills to young members of the military. They had backpacked in on the other side of Mt Harvard, coming from Frenchman’s Creek, and were now headed down. We initially shared a route and they were moving slow with some members of the group being quite tentative heading down the rocks. I don’t often get to pass younger adults especially in more challenging situations but they graciously stepped aside to let us scamper past them. In all fairness I had way more experience in such terrain than most of them so it is not fair to be boastful but at this point in my life I need all the boosts to my self esteem that I can get. Once past the large group we continued on the 2.75 mile long traverse. We both had the route description complete with photos loaded onto our iPhones and John had the GPX for the route so we felt well prepared. 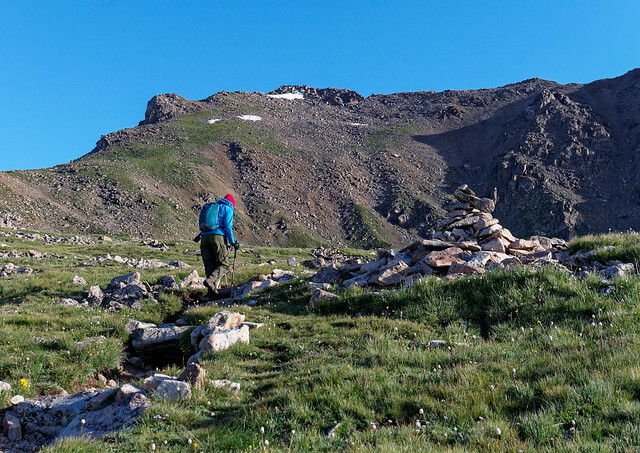 We made our way across the rocky saddle to "Point 13,516” (only in Colorado does a “point” this high not rate a name). 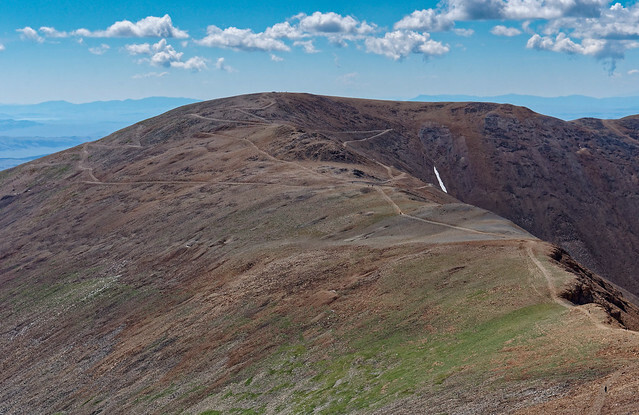 This is where the route drops to 12,800 feet. I looked carefully at the photos in order to avoid the not recommended steep gully (indicated by the red dotted line to the right in the photo below). We got off route a bit but it was probably inconsequential. We dropped a little lower than the route indicated in the photo below but still had to cross some large talus and boulders. But it looks to me like you have to do that no matter where you go unless you drop all the way to the meadow in the lower left of the photo below. 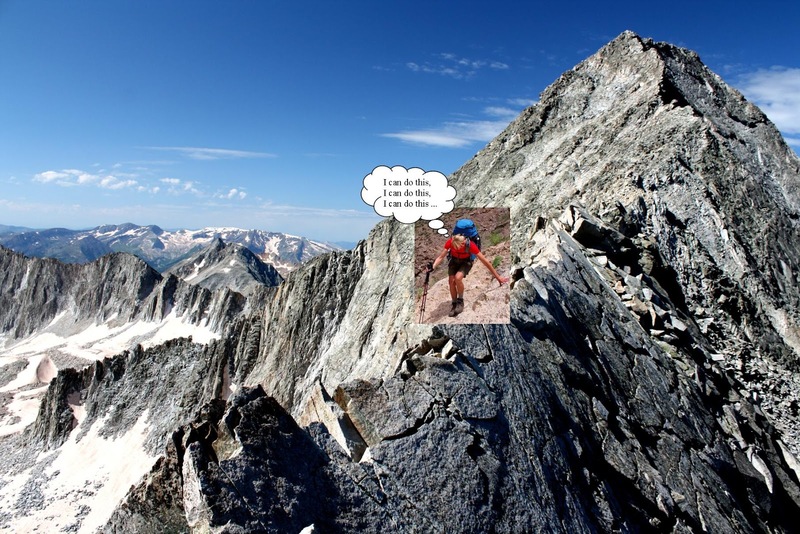 Bill Middlebrook, the author of the route descriptions on "14ers.com", has an understated sense of humor. 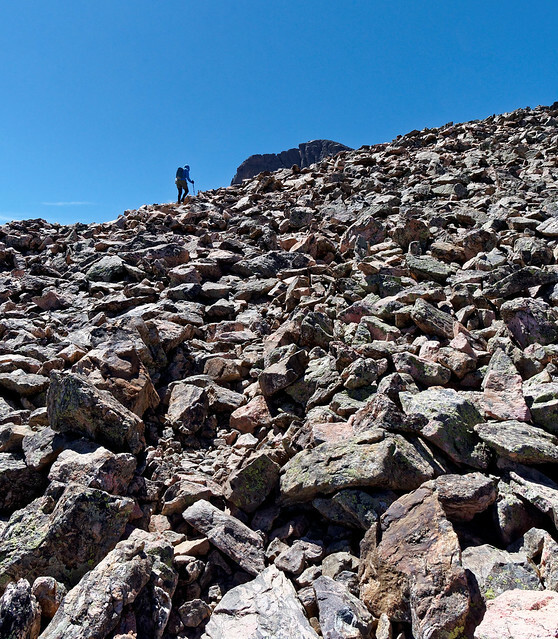 He states “If you like talus, this route is great for you!” and instructs one to “… begin your ascent out of a world of talus” and that you should continue “over more and more talus”. It took us five hours to get from Mt Harvard to Mt Columbia's summit We were quite relieved the weather was still mostly clear with just some thin white clouds. Once on the summit I can't say we were properly awed by the view, we were both just too tired. We looked forward to the descent as we would be on an actual trail and when I had glanced at the photos it looked good. Initially it was great. 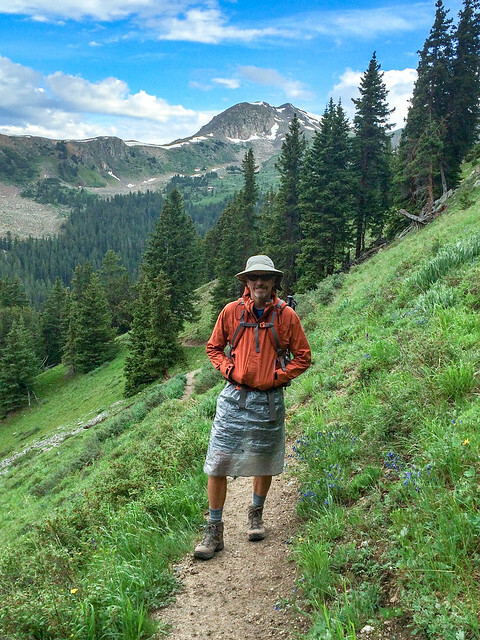 However, I had not read the trail description where Bill Middlebrook describes a section with 700 feet of descent as “steep, loose and not so fun”. An understatement. 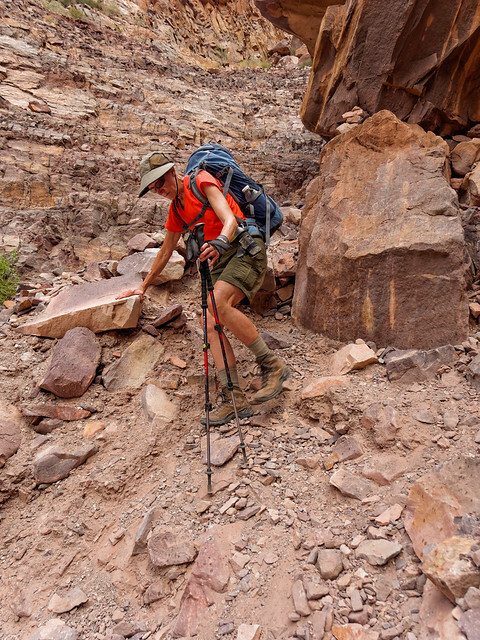 The trail became steep with tight switchbacks of packed dirt covered in "ball bearing" rocks. It eventually disappeared into several small parallel gullies with deeper loose rock causing both of us to fall on our butts multiple times. 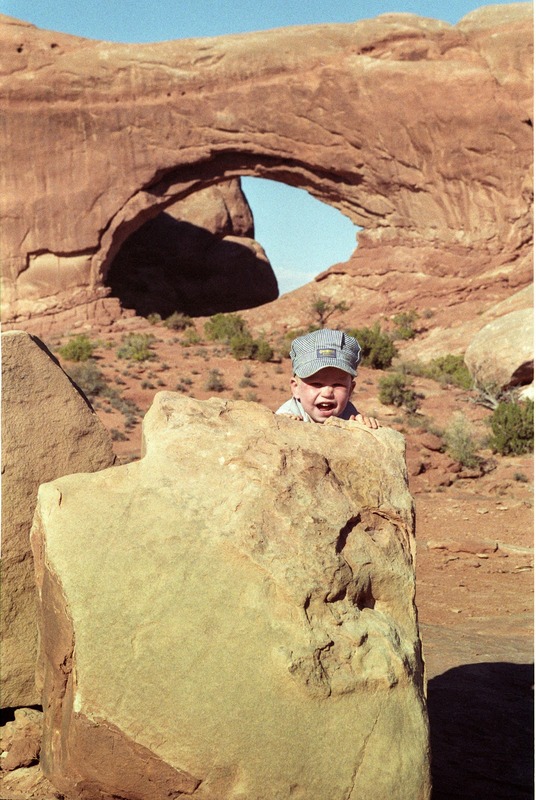 Once, after a particularly painful fall, I had a great deal of trouble standing back up again in the loose rock. I was very tired and nearly in tears (John wisely kept his camera put away). We finally reached the woods and an actual trail. We arrived back at our camp at about 7:30 PM. The seven mile loop had taken us 13 hours to complete and it was the longest, hardest seven miles we have ever done. Once fed and in our tent we thoroughly enjoyed being warm and horizontal. I thought back about the day looking for something positive to say about it. Fortunately we had pretty good weather. The wind had not been too bad and thankfully the gusts blew us into the steep slope rather than off of it. 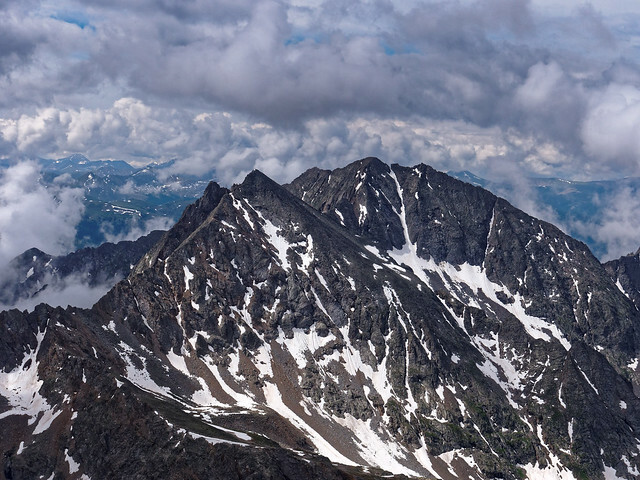 I'm afraid that was the best I could do and Mt Columbia became our least favorite "14er". The next day we slept in and enjoyed a leisurely morning in camp. As I had my breakfast I did enjoy the view of the basin and Mt Harvard but I intentionally sat on a log facing away from Mt Columbia. I was still annoyed with that peak. We can’t really recommend doing the loop we did. 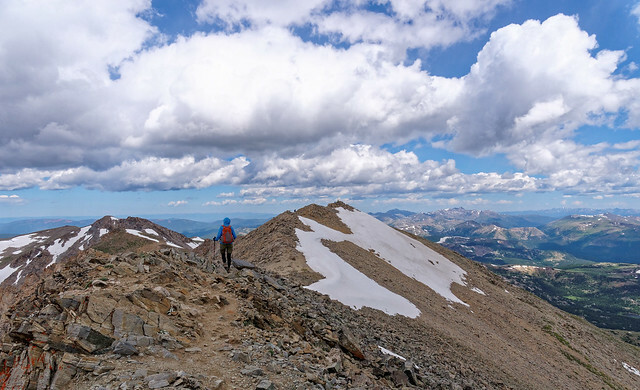 If you do then when traversing between Harvard and Columbia consider dropping lower than 12,800 feet and skirting below the talus and hiking up the meadow toward the summit of Columbia. Yes, you lose more elevation and will be longer but it will most likely be faster and much less tedious. 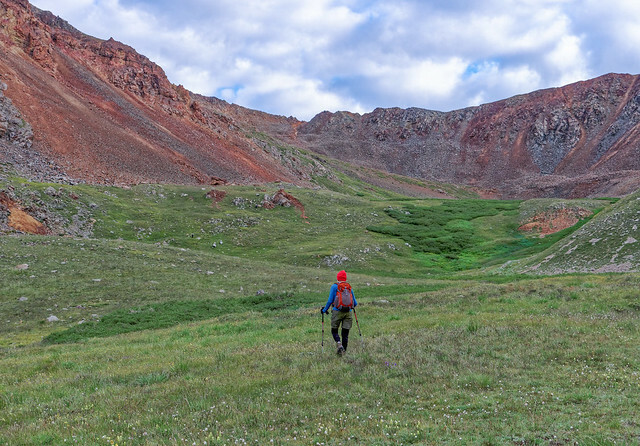 But perhaps a more enjoyable way would be to backpack in to Frenchman’s Creek (here is a trip report and directions to the trailhead) on the opposite side of the ridge as the way we came up. One could then do Mt Harvard on one day and Mt Columbia via the meadow on the second. It does require a greater time commitment but it would provide one with what we think must be a much better experience. We had a welcome break of five days after our Harvard/Columbia adventure. 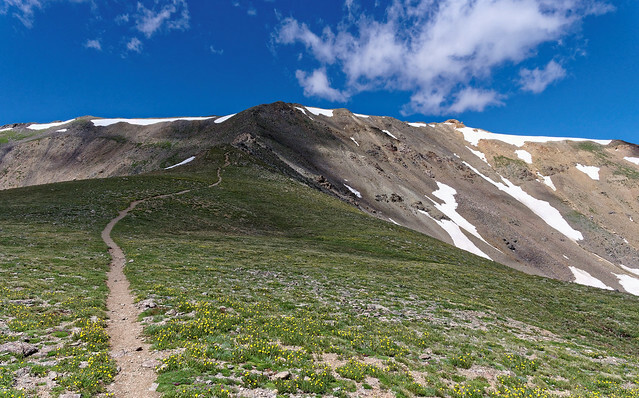 Fortunately for my knees the next peak we planned to do, Quandary Peak (14,265 feet) in the Tenmile Range, is considered to be one of the easiest. 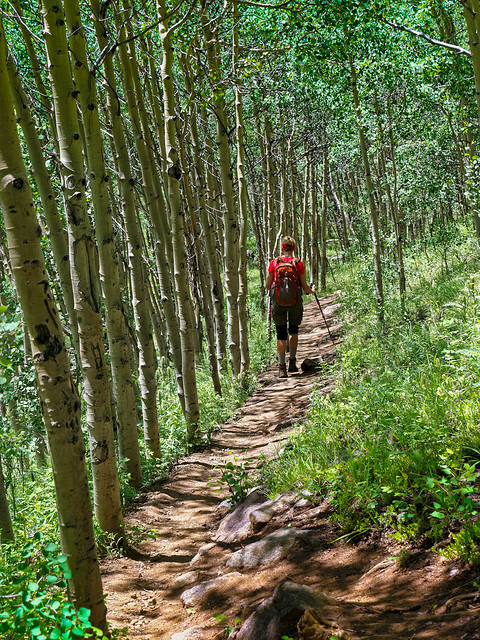 The trail gains 3,450 feet and is 6.75 miles round trip. There was a less than optimal weather forecast, cloudy with a 50 % chance of rain mainly after 4 PM. 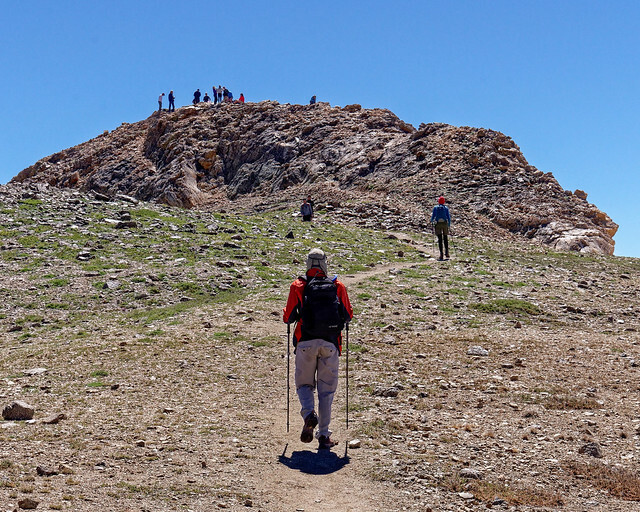 However, as we were staying not far from the trailhead we decided we could take a chance and accepted the possibility we might decide to turn back before reaching the summit. So, once again we got up at 4 AM. John checked the updated forecast and was disappointed to see that it had deteriorated with some rain expected after 9 AM and more in the early afternoon. Since we were already up we decided to give it a try especially after seeing stars between just a few clouds in the dark sky. Fortunately the morning proved to be mostly sunny with few clouds. However, it was very windy at the summit (which we reached at 9:25 AM, a new record for us). While on the summit we could see the clouds forming in the distance. They didn't look too threatening but we decided to head down after only a short break on the summit. ... where we encountered quite a crowd on the summit. 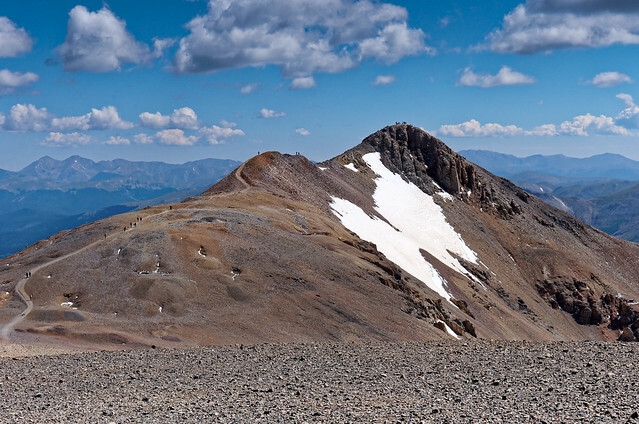 The third peak of the day was Mt Lincoln (14,286 feet). Of the four peaks Mt Lincoln was our favorite but the competition was not stiff. As I mentioned before, the peaks in the Mosquito Range are more weathered and rounded. It wasn't something I expected from the Rocky Mountains in Colorado. But then again they are most definitely "rocky" so the name is descriptive even if some of the peaks are not particularly attractive. I suppose I am used to the younger and more jagged and glaciated peaks in Washington State and am quite biased. After Mt Lincoln we headed back toward Mt Cameron and over to the rounded rock pile known as Mt Bross (14,172 feet) seen in the middle of the above photo. We were happy to have done these four peaks primarily because it got our "count" up. 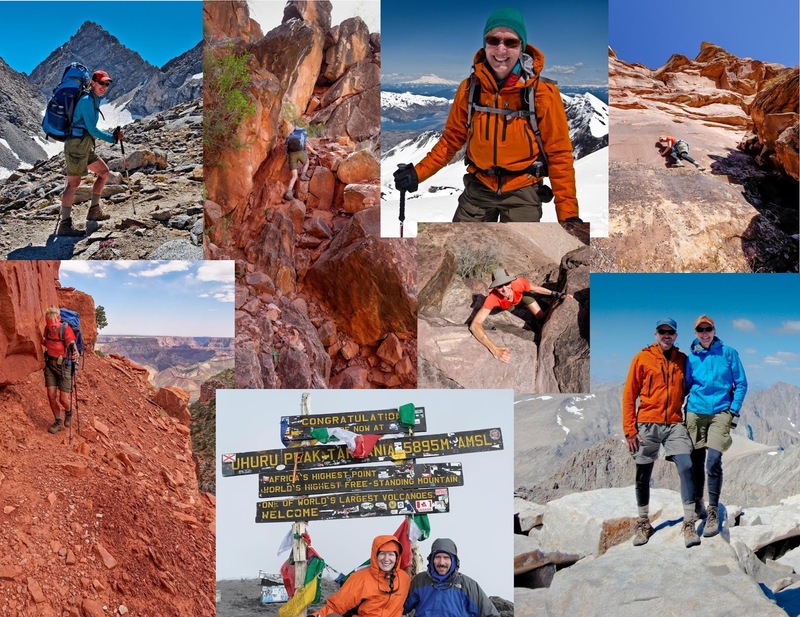 We had just completed a total of 21 peaks over 14,000 feet in seven weeks. Adding in the four we have done in previous years brought our grand total up to 25, not too shabby for a couple of "60 somethings". 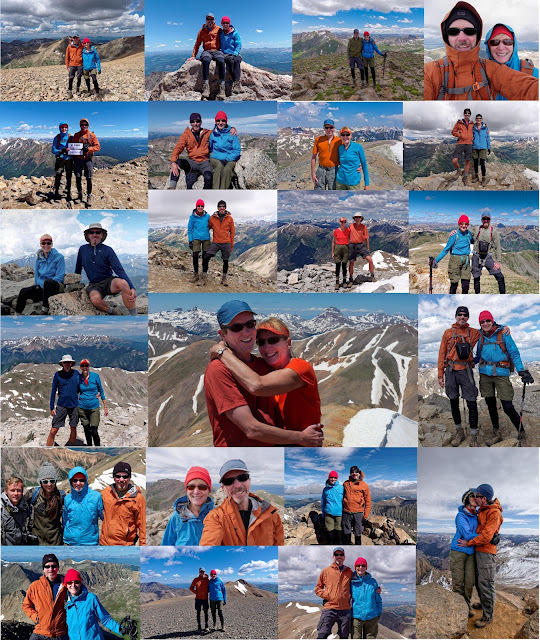 We realize that many of the photographs taken on our hikes up "14ers" look similar especially the obligatory photos of us on the summit. Therefore I put all of those into a collage. They represent every 14,000 foot peak we have been on with three exceptions. We were feeling pressed for time so we didn't remember to take even a quick selfie on Tabeguache Peak. We also skipped it on Mt Shavano because we were being chased by thunder. 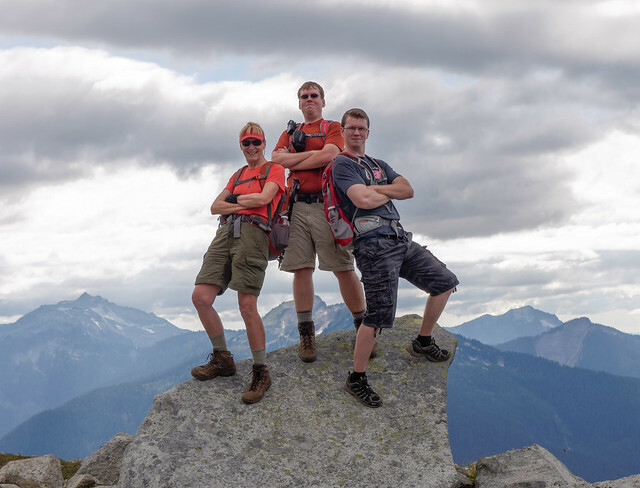 And we didn't get a photo of both of us on Sunshine Peak in 2011 as John hadn't brought a tripod or his iPhone and there was no one we could impose upon. Of course one option is to return to these three peaks but we don't feel a need to go back. At this point in time we made the decision to head to Washington State to help with a family issue. 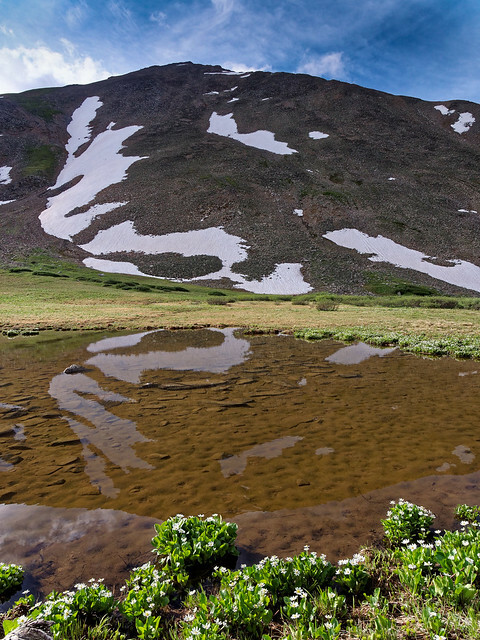 We were pleased with what we had accomplished during the spring and summer and were content to leave Colorado. I'll let you know what we did in Washington State next time. … the tough get going. At least that is how the saying goes. I would really like to think of myself as being “tough” but I feel like I have two very different personalities and it is not a good combination. 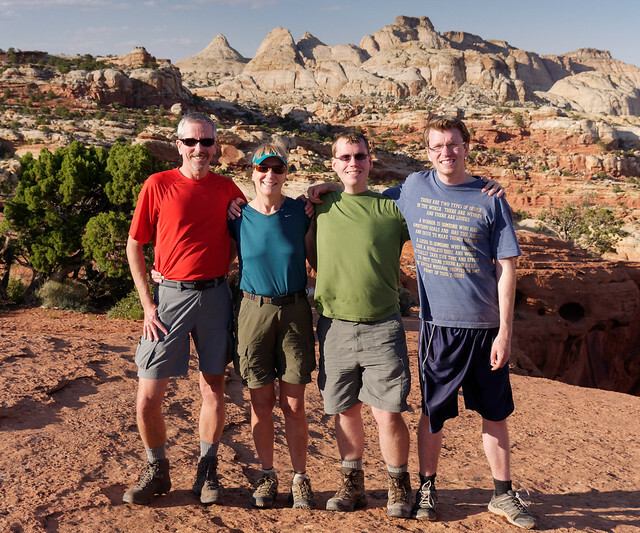 One personality is an avid and capable backpacker. When in the backcountry “Capable Jean” is able to do what needs to be done to persevere and get me through annoying situations and challenging circumstances without complaint. For example this part got me to the top of Mt Kilimanjaro (ahead of everyone else in our group I might add). This part has helped me to endure heat, cold, thirst, fatigue, knee pain and really crappy trails. “Capable Jean” has “grit” and I have already written about her. The other part is a hopeless wuss, a quivering mass of fear and paranoia. I call her “Wimpy Jean” and I have also written about her. "Wimpy Jean" can visualize the worst possible outcome for any given circumstance especially the more challenging ones. Being in a relationship with John has given her many opportunities to exercise this unfortunate “gift”. It all started back in 1977 with our climb up Chimney Top Rock within the Red River Gorge in Kentucky (the long story). Chimney Top Rock, Red River Gorge in Kentucky photo by "Down - to - Earth"
This part of me lacks confidence in my abilities. This part is unable to look objectively at what I have already accomplished or get excited about upcoming challenges. Fortunately, this part of me is generally willing to shut up and listen to “Capable Jean” when we are hiking and backpacking. Unfortunately, “Capable Jean” loses her voice once we get back home and “Wimpy Jean” becomes the dominant influence. She becomes fearful of the things that “Capable Jean” wants to do in the future. She even becomes fearful of the things that “Capable Jean” has already done. This is a big problem for me because "Wimpy Jean" is the one who is involved in discussions about our next hike or backpack trip and she looks for excuses for us not to go. Don’t get me wrong. It isn’t like I backpack just because John wants to. I have always loved the outdoors and I started backpacking before I even met him. Being married to John has opened up an incredible world to me especially since his retirement. But he is an adventurous guy. He is a confident and optimistic person who possesses good balance and quick reflexes. He is also an experienced mountain climber and has completed the Seattle Mountaineers Basic and Intermediate climbing courses. 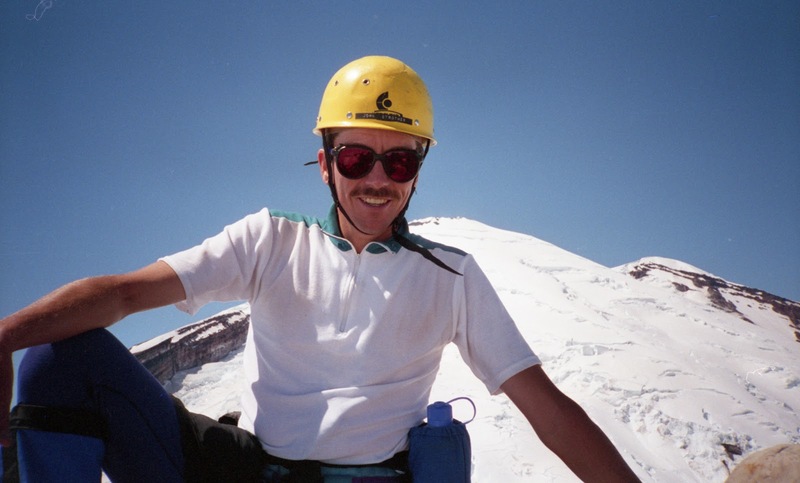 He has many summits under his belt including the five highest mountains in Washington State. He has been to the top of Mt Rainier four times. Through this he also gained some rock climbing experience. However, I am not naturally a self confident or optimistic person. In addition I have a mood instability. I also have poor balance which is exacerbated by the fact that I am on two medications that can cause dizziness. I have tripped and fallen while hiking more times than I can remember. And even when I can objectively look at my experience and abilities I see that they in no way match up to his. The sad truth is that no matter how capable I feel I still lack his experience and abilities and there is nothing I can do at this point in time to catch up. Fortunately, what we have wanted to do has either been within my ability or just a slight stretch beyond and we can make some allowances when necessary. 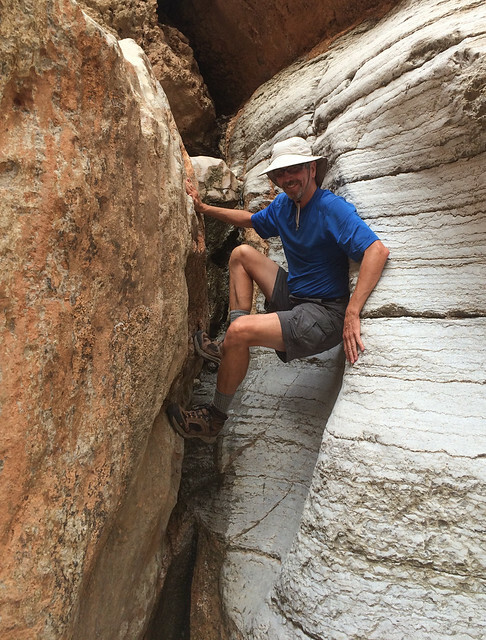 For example, while backpacking in Tuckup Canyon within Grand Canyon National Park we knew we would encounter situations where we would need to raise and lower our packs so John had brought a rope. 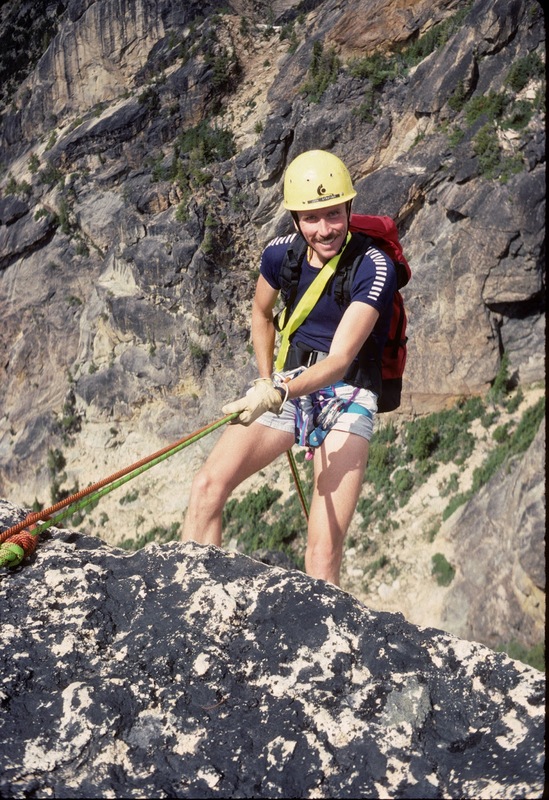 But he also used it to belay me while I went up and down the numerous obstacles; chutes, cracks, chock stones, ledges etc. I never actually needed it to arrest a fall but it gave me the confidence that I needed to try to negotiate the obstacles. However, John negotiated these same obstacles without any concerns whatsoever. I once tried to gain more backcountry skills. About a dozen years ago I was enrolled in the Mountaineers Scrambling course. Unfortunately, I sprained an ankle part way through the course (after tripping and falling) and I only got as far as the first snow class where we practiced self arrest with ice axes. This class was conducted on a soft snow slope with a long run out, a good place to begin but not comparable to conditions I could encounter in the future. Had I been able to continue the course I would have later had a class on “hard” snow as well as several field trips where I would have opportunities to practice my skills. Unfortunately, it just didn’t work with our schedule for me to complete the course the following summer or to retake the entire course in a subsequent year. But like I said, what we have wanted to do has either been within my ability or just a slight stretch beyond .. until now. We spent most of the summer in Colorado. Normally we would have focused on backpacking but the weather was wetter than normal and we were not able to muster any enthusiasm for backpacking and camping in the rain. So we consoled ourselves with dayhiking and climbing “14ers”. 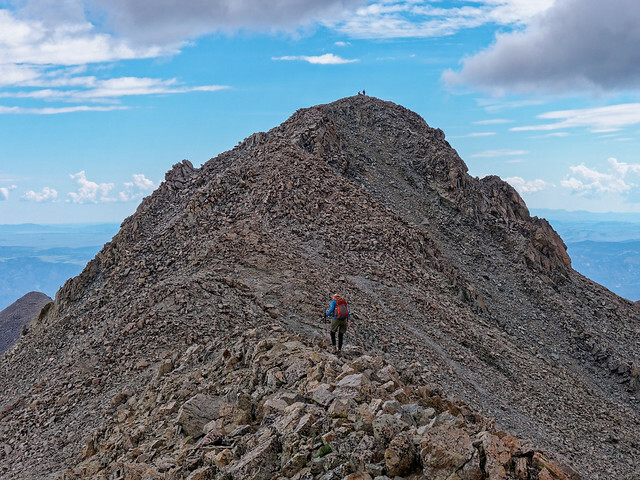 There are 58 peaks in the state that are over 14,000 feet and hiking/climbing them is a very popular activity for residents and visitors alike. 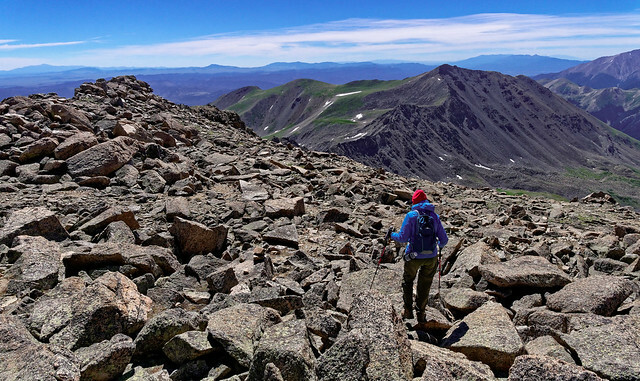 Everyone we have talked to on a "14er" knows exactly how many they have done. Sometimes it is their goal to do all of them. 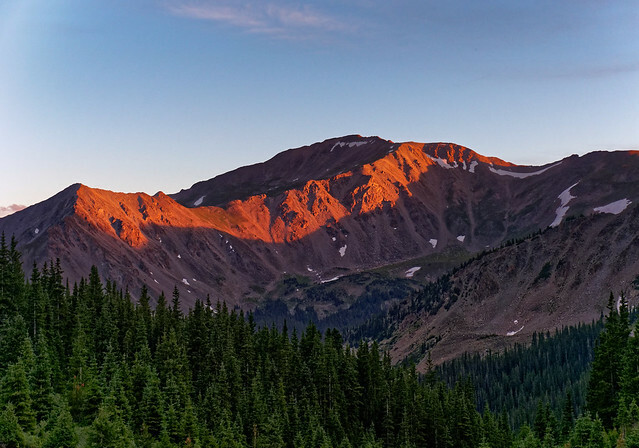 In fact, Colorado’s "14ers" become quite an obsession for some. A fellow by the name of Andrew Hamilton recently set a new speed record for doing all 58 of them. He accomplished this in an absolutely amazing 9 days, 21 hours and 51 minutes!!!. In addition, his son Axel may be the youngest person to have done them all. He accomplished this at the very impressive age of six. 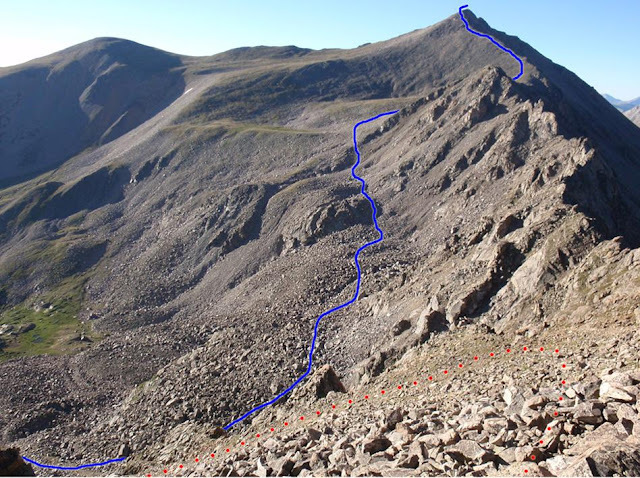 Every "14er" is ranked by difficulty. Class 2 - More difficult hiking that may be off-trail. You may also have to put your hands down occasionally to keep your balance. May include easy snow climbs or hiking on talus/scree. Class 3 – Scrambling or un-roped climbing. You must use your hands most of the time to hold the terrain or find your route. 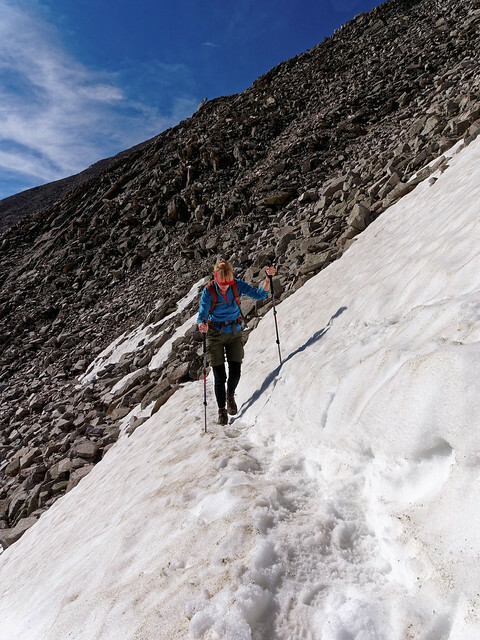 This may be caused by a combination of steepness and extreme terrain (large rocks or steep snow). Some Class 3 routes are better done with rope. Class 4 – Climbing. Rope is often used on Class 4 routes because falls can be fatal. 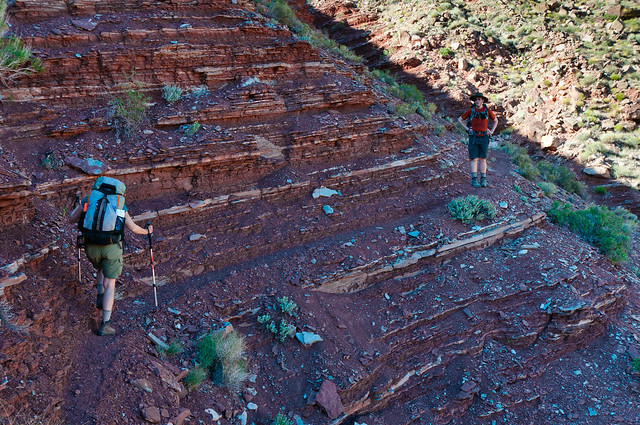 The terrain is often steep and dangerous. 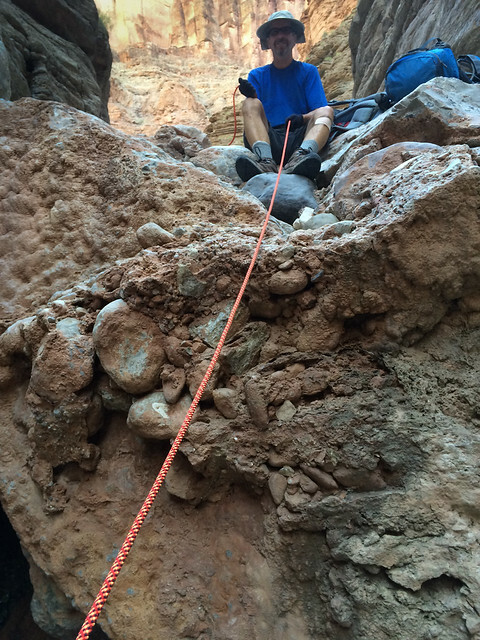 Some routes can be done without rope because the terrain is stable. In addition they are graded by level of exposure. 0 - No exposure in the area. Gentle terrain. 1 - Mild exposure in the area but not along the immediate route. 2 - Mild exposure very close to the route. Route options may be limited but you should be able to walk past the exposure area. 3 - Moderate exposure along the immediate route. 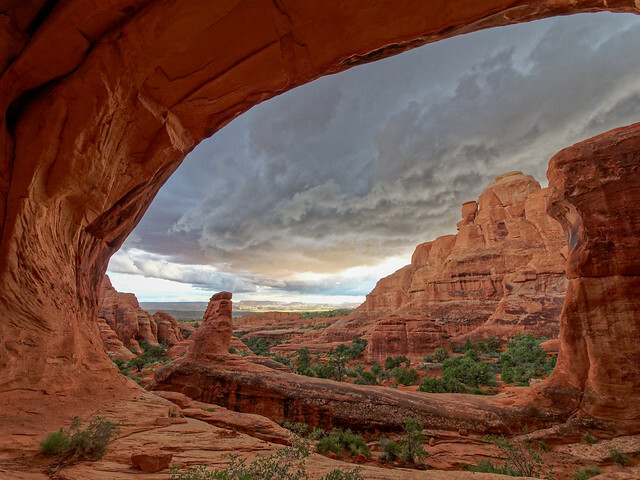 It should be avoidable with some slow hiking or scrambling. 4 - More serious exposure that could result in serious injury or death if you fell. Moving past the area will require some scrambling or short technical moves. 5 - Dangerous exposure that requires careful, technical moves to navigate around. A fall would likely be fatal. Big, sheer drops. 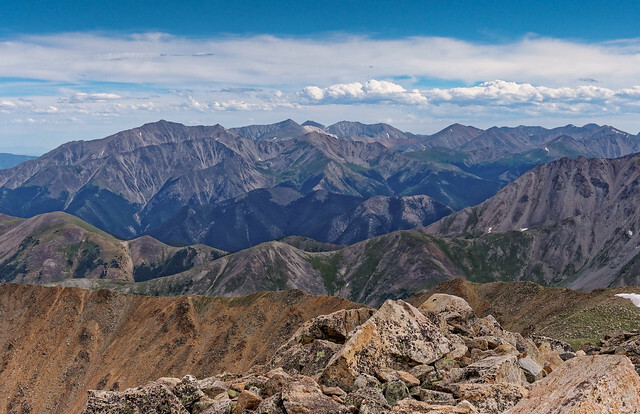 We hiked up our first "14er", Handies Peak, back in 2011 when we were in Colorado training for the John Muir Trail. We did three that year. We attempted two more but both times had to turn back due to weather issues. We did another one in 2012. 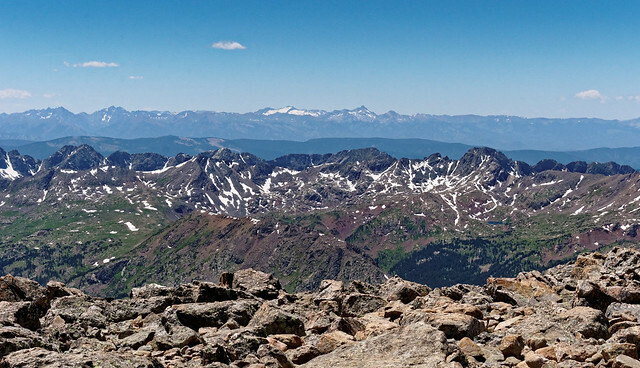 So far every" 14er" we have done is a “class 1” or a “class 2” having only mild exposure. The one exception is Mt Sneffles, which is rated as a “difficult class 2” with moderate exposure. 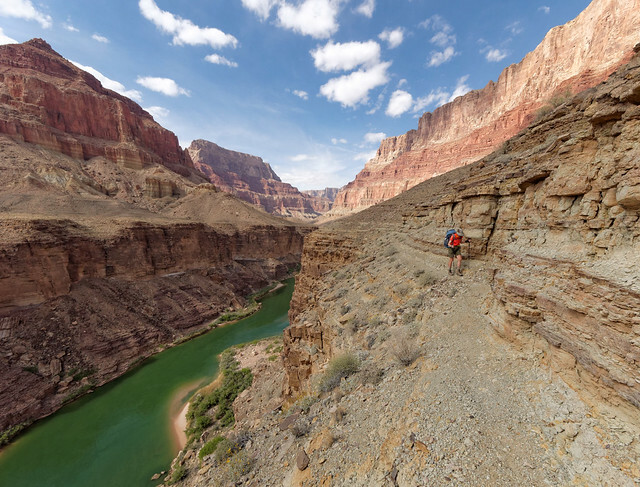 … due in large part to the “Knife Edge”, a 100 foot long stretch with extreme exposure. 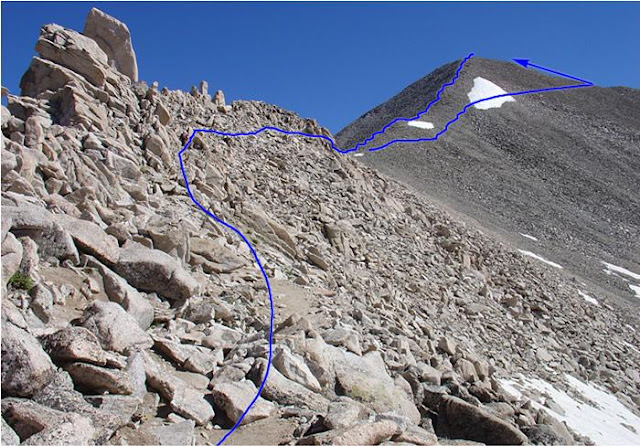 In addition, once past the Knife Edge there is still some challenging climbing ahead. And then, of course, one must climb back down which many, including me, find more frightening than going up. “Wimpy Jean” is scared shitless at the thought of climbing this peak. John, in an effort to be supportive, mentioned the possibility of his doing it by himself or my just going up as far as the Knife Edge and his completing the climb alone. But I struggle to accept either possibility. Partly I have an aversion to being left behind (undoubtedly stemming from my less than optimal childhood growing up in a large family). But I also have a great aversion to missing out on an exciting experience and I admit part of me really wants the “bragging rights”. It is quite a dilemma. But my inner wuss got a reprieve for now. In mid August we decided to head to Washington State to help with a family matter so climbing Capitol Peak was no longer an option for us this year. At this point in time we don’t know when we will go back to Colorado. We would like to do more backpacking in Washington State as well as in the Sierras but that will depend greatly on the fire situation in the coming years. Fires in both areas were a big problem this past summer and, given the current state of Global Climate Change, fires will most likely be an issue in the future. So, provided Colorado gets near its normal amount of moisture over the winter and spring, we could very well end up there again next summer. 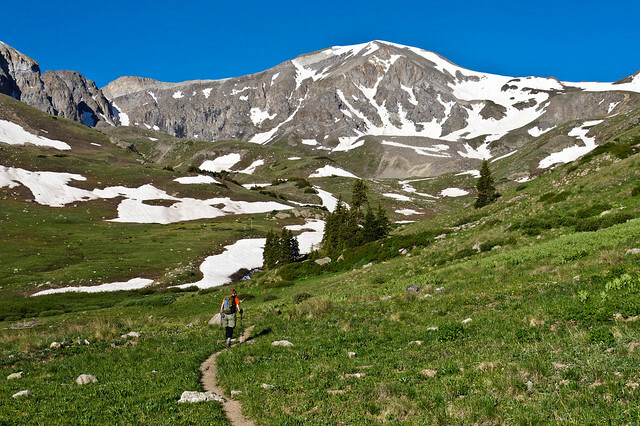 If so, we will probably pick up where we left off and do more "14ers" which could include some of the more difficult ones. The thought of this makes “Wimpy Jean” very nervous. After all, Capitol Peak is not the only "14er" with serious challenges. 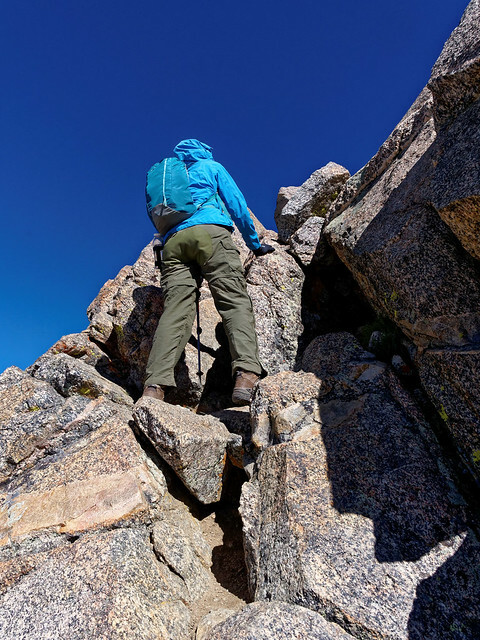 Several of the other peaks have their moments of dangerous steepness and gut wrenching exposure where one could easily die if not extremely careful. My concern is that we will get in the middle of someplace challenging and “Wimpy Jean” will take over and prevent me from not only moving forward but from going back. My fear is that she will cause me to get “stuck” and not only put my own life at risk but John’s as well. At the very least I am concerned that she will stop me from achieving a goal and also deprive John of the experience. If I could I would completely abolish “Wimpy Jean” from my psyche but I don’t know how. I don’t know if it is possible. I don’t even know if it is ultimately desirable. All I know is that I can’t ignore her and I have learned from experience that it does no good to criticize her or belittle her as it only empowers her. So it has me wondering. What can I do to increase the probability that I can successfully climb all 58 peaks? What can I do to reassure "Wimpy Jean" and help her be more comfortable? What can I do to help her trust "Capable Jean"? One thing I can do is remind myself about how with experience I have begun to become more desensitized to heights and exposure. For example, “Wimpy Jean” was really anxious about doing my first backpack trip in Grand Canyon National Park. 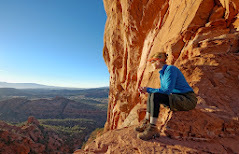 She was particularly nervous on several parts of the Escalante Route (pictured below). Three years (and many trails) later John and I did a similar trip with the addition of the more challenging Beamer Trail. I was nervous hiking a particularly exposed stretch (pictured below) and I didn’t look forward to doing it again the following day on our way back out. However, I was past it before even realizing it. “Capable Jean” obviously still felt a need to be extremely careful but a mere 24 hours later this portion no longer made “Wimpy Jean” quite as nervous. … and especially in Colorado. I still don’t like it but I am beginning to adopt a more “Zen like” attitude toward loose rock. It is not good, it is not bad, it just is. 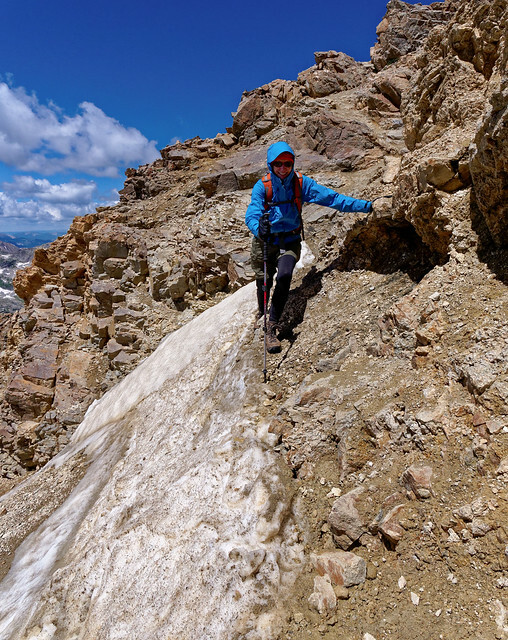 And it only stands to reason that with more experience climbing "14ers", especially the more challenging ones, I will become more comfortable with the conditions encountered. When we return to Colorado I am certain we will continue to do "14ers" so I will definitely have opportunities to gain that experience. 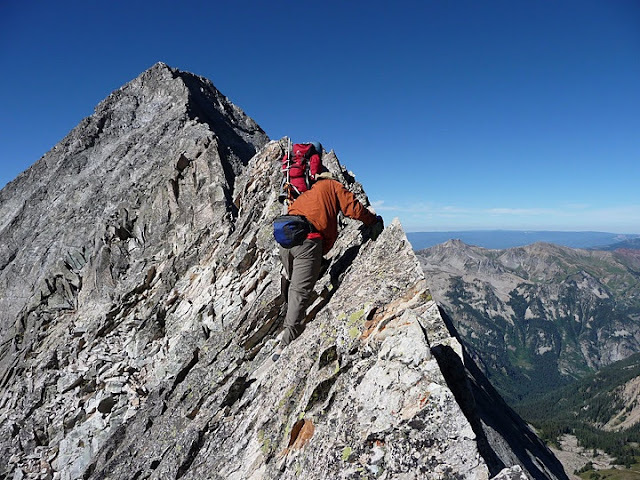 John thinks for the time being I should just stop thinking about the more challenging "14ers" especially Capitol Peak because he believes that all I am doing is scaring myself more. I initially agreed with him but found I just couldn’t stop thinking about it especially after I discovered You Tube videos of people crossing the Knife Edge (this is a good one). 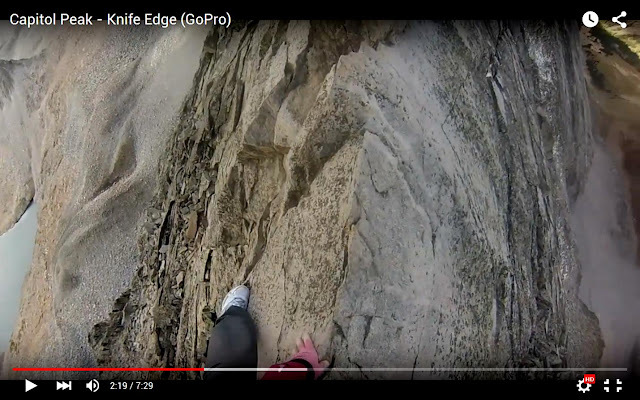 The wide angle lens in Go Pro cameras really make it look narrow and terrifying and one thought I have is watching these videos just might help desensitize me. Or it will only scare me more. I have also wondered if it would help for me to use visualization. What if I look at photographs and videos of the scary parts on these peaks and try to “see” myself successfully and safely negotiating them? Maybe I should try to tap into the “power of positive thinking”. Maybe it would help if I came up with a phrase or some sort of mantra. I did something like that while negotiating the obstacles in Tuckup Canyon. I sometimes just said over and over to myself “I can do this, I can do this”. Will this be enough to get “Capable Jean” to do what is necessary to get to the top of all of the “Class 3” and “Class 4” peaks? Will this work to get “Wimpy Jean” to shut up, close her eyes and let “Capable Jean” carry her? I just don’t know. But then it occurred to me that I may be going about this all wrong. Instead of wishing I could eliminate “Wimpy Jean”, instead of wanting her to just shut up, instead of always putting her down maybe what I need to do is try to accept her. After all she has gone everywhere that “Capable Jean” has gone and she has never prevented us from doing something that John and I have wanted to do. Granted there have been times when she has said “I don’t like this” but she has always continued to move forward. Perhaps the first step is to rename her. In fact I should probably rename both of them and it needs to be something that is value neutral because neither is good, neither is bad, they just are. It took several tries but what I came up with is the arguably mundane “Indoor Jean” and “Outdoor Jean”. Now I need to get the two of them talking to each other. "Indoor Jean" meet "Outdoor Jean"
But even this is the wrong way to look at it because the fact is I truly do not have two different personalities. “Dissociative identity disorder” is a serious mental health issue and one that I should not make light of. I need to see myself as just one person, one who is sometimes more adventurous and one who is sometimes more cautious. Granted I need to be realistic about my abilities and my limitations but I also need to see that I AM "tough". 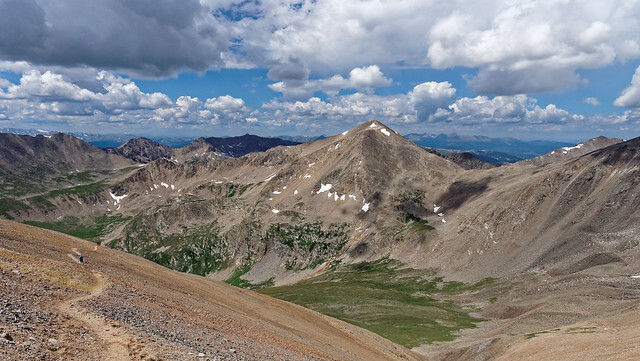 Completing all of Colorado’s "14ers" could very well be an unrealistic goal for me. After all I am not getting any younger and the arthritis in my knees is not getting any better. And it could be experiencing it and owning the “bragging rights” just isn’t worth the stress and fear that I would undoubtedly feel. So I cannot say for certain if I get the opportunity to climb Capitol Peak that I will take it. But “Tough Jean” is not ready to give up on the idea just yet. However, no matter how this turns out I will try to not let anything diminish what I have already done. Because I need to see that when I have wanted something badly enough and I have had the physical ability necessary to do it then I DO get going.